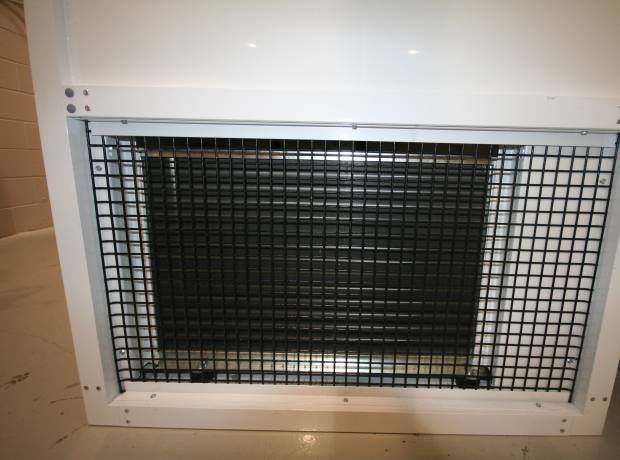 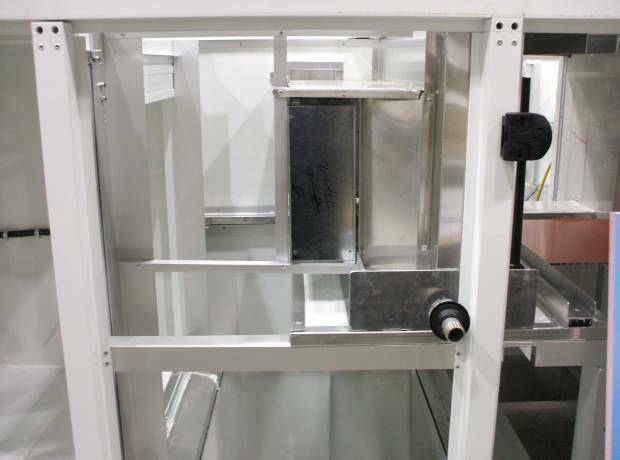 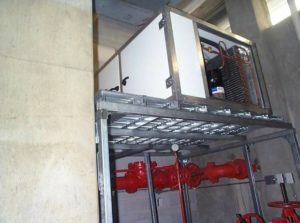 The Air Handling Unit is designed to provide the primary airflow through Terminal Ducted HEPA Filters. 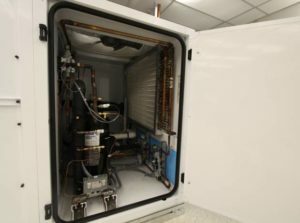 The Airstream is split to provide a Cooling and Outside Pressurization Air Mixed Air Stream, and a Re-circulated Airstream for Humidification. 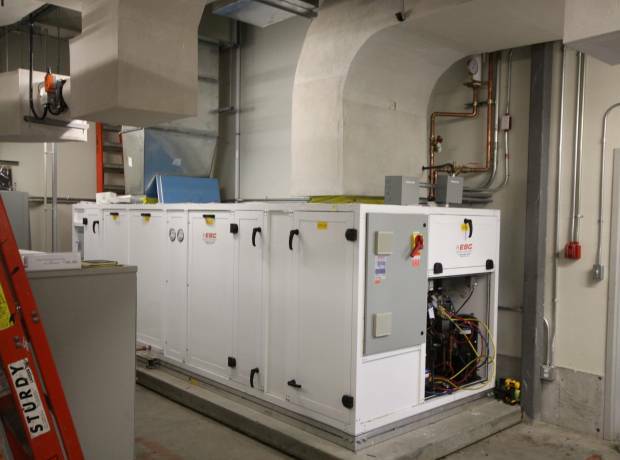 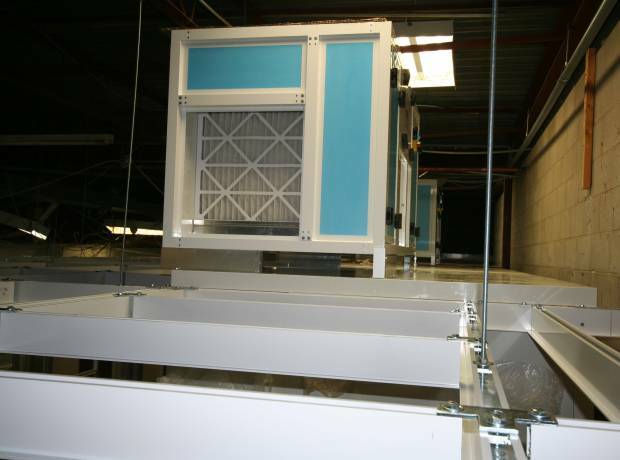 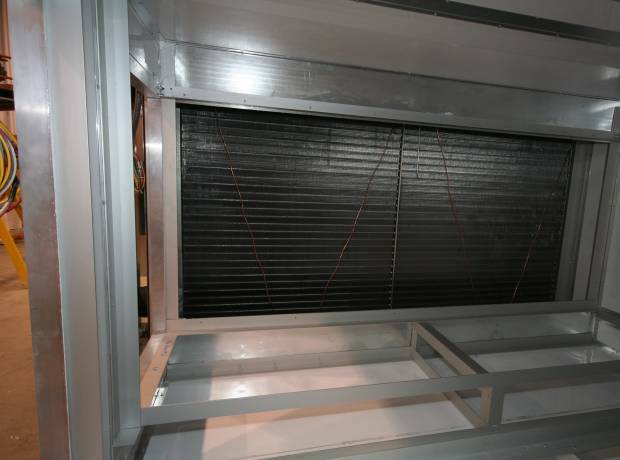 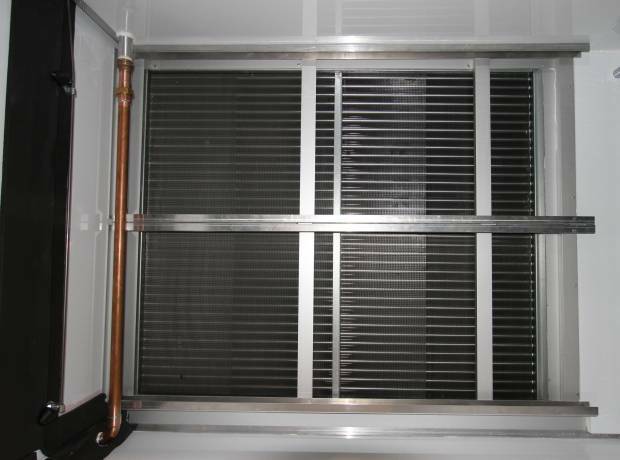 The AHU has Primary 30% Filtration, and Final 95% Filtration to lengthen the life of the HEPA Filters. 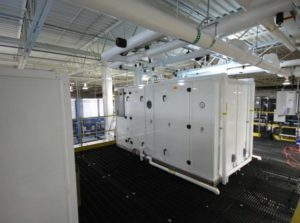 The Air Handling Unit was designed to bring in pressurization / fresh air through a separate air stream allowing energy efficient latent cooling dehumidification. 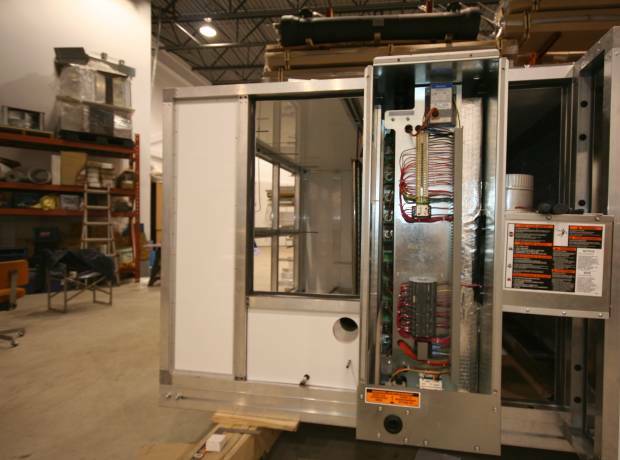 The re-circulated sensible cooling system cools the re-circulated airstream. 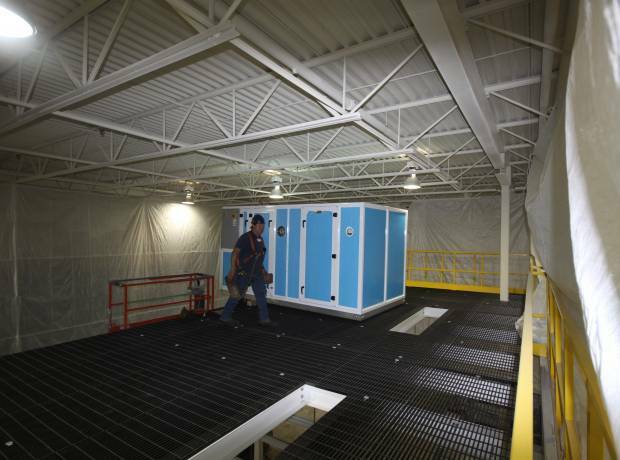 The ISO 7 Conditions in the Cleanroom are maintained by 30% / 95% & 99.99% HEPA Filtration. 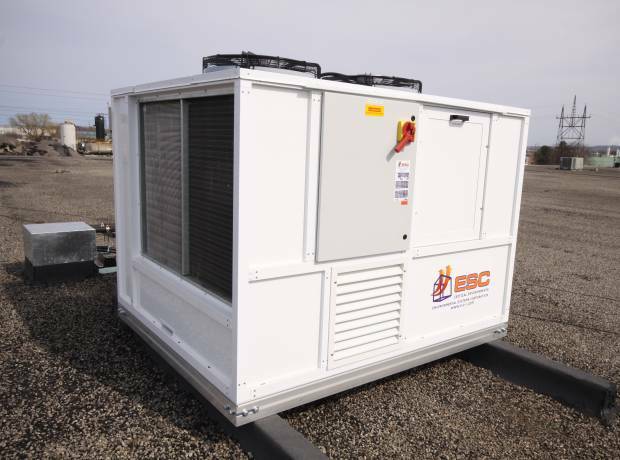 The Air Cooled Two Circuit Condensing Unit utilizes Digital Scroll Technology on the Recirculating System for Optimum Energy Efficiency, and Scroll Technology on the Outside Air, with Electronic TX Valves and Electronic Hot Gas Valves for Close Tolerance Control. 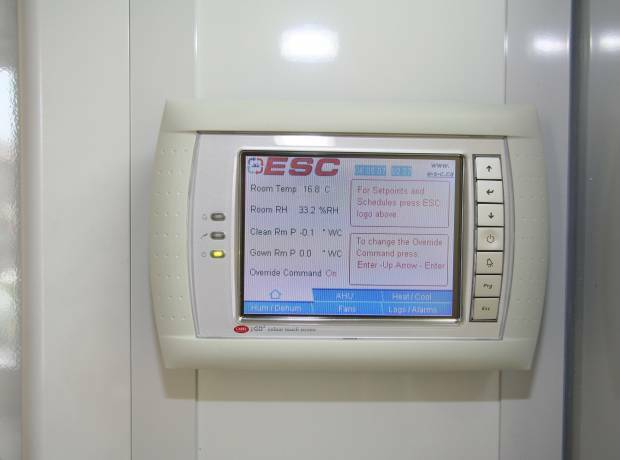 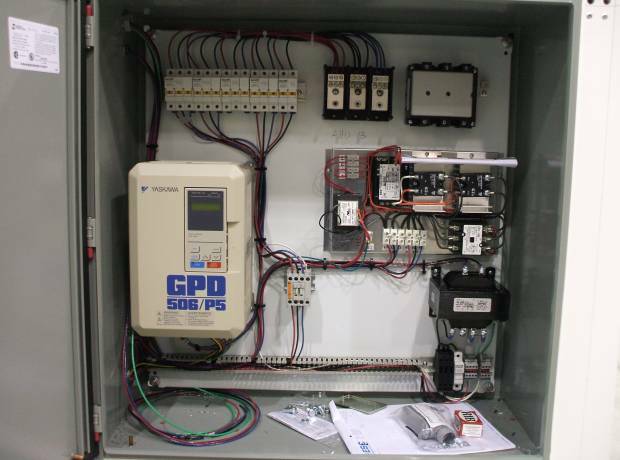 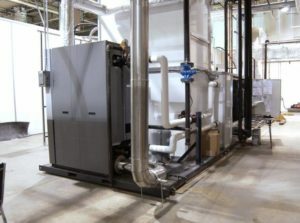 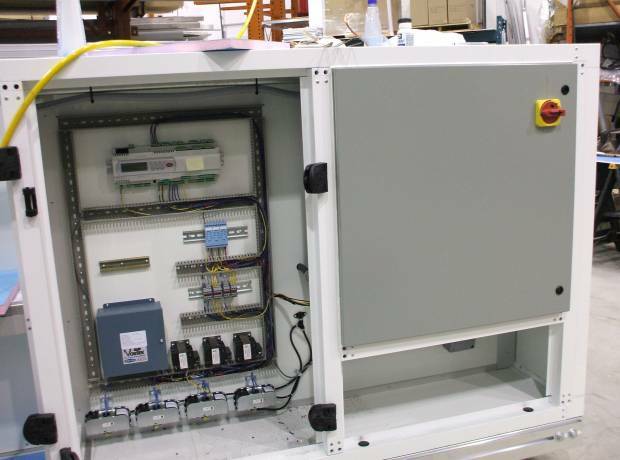 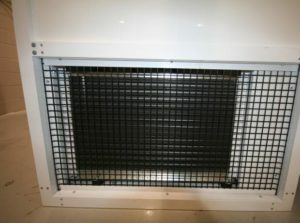 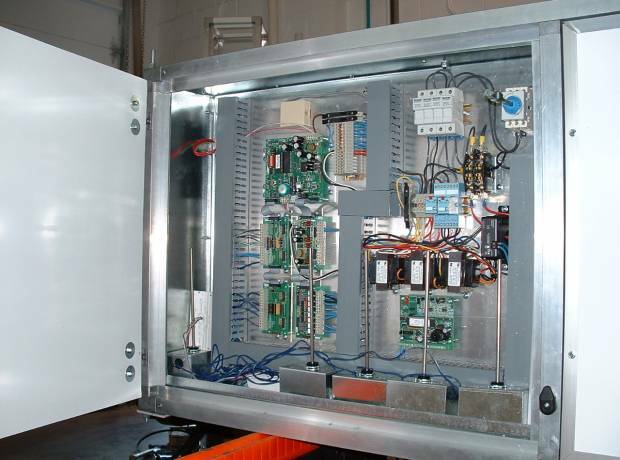 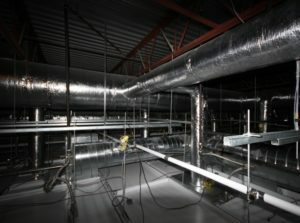 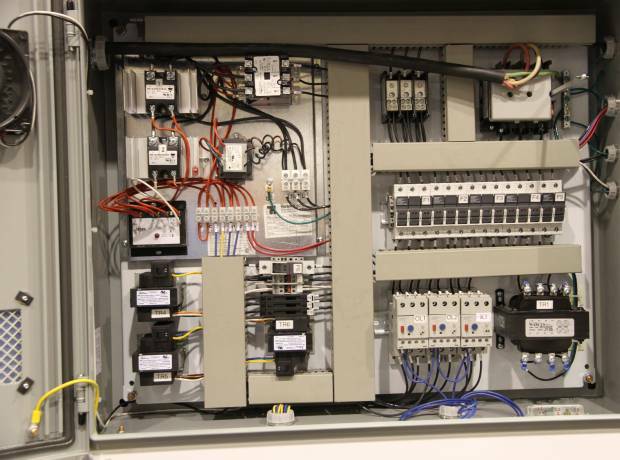 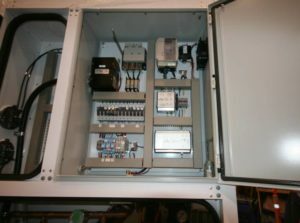 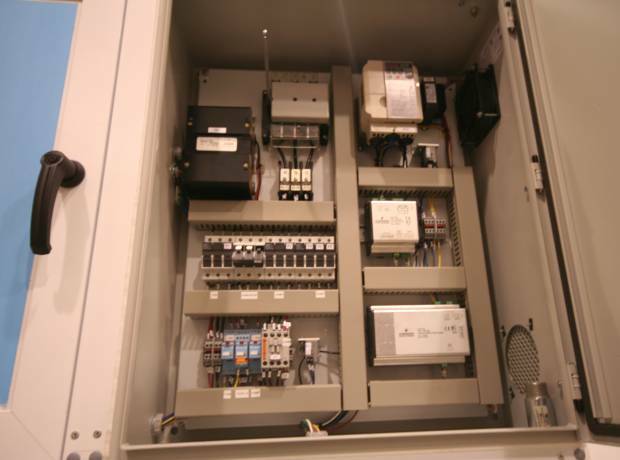 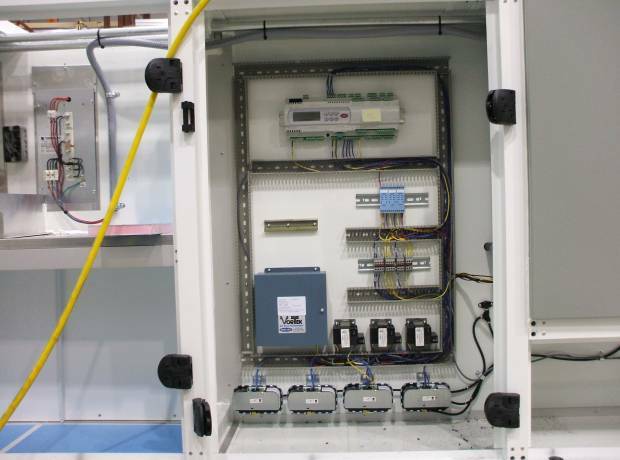 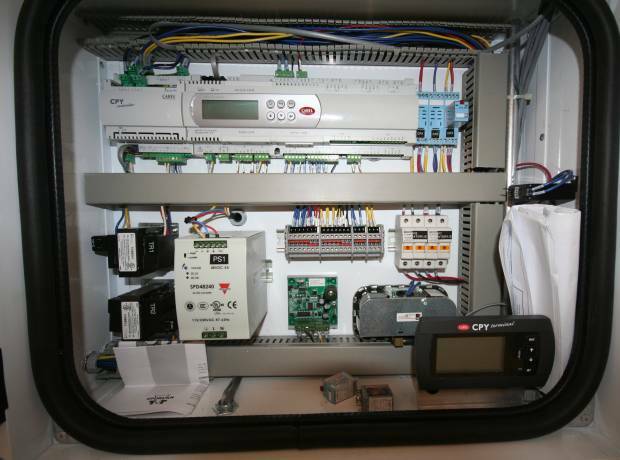 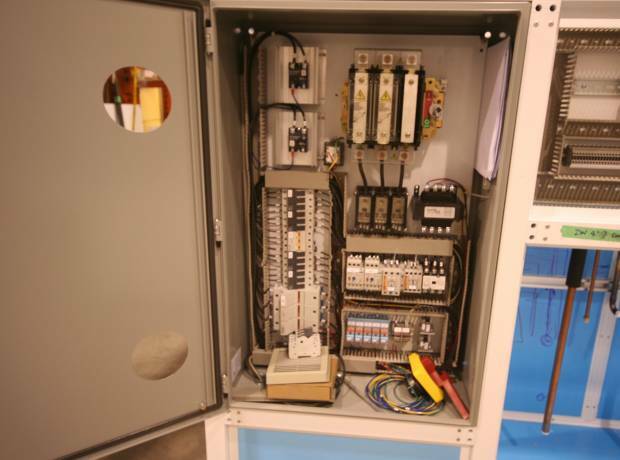 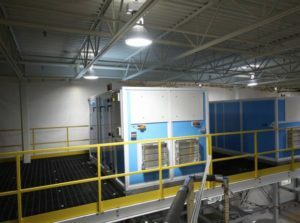 The Air Handling System is required to provide +/- 0.1oC Control, and Humidity control +/- 0.5%, into 4 control zones. 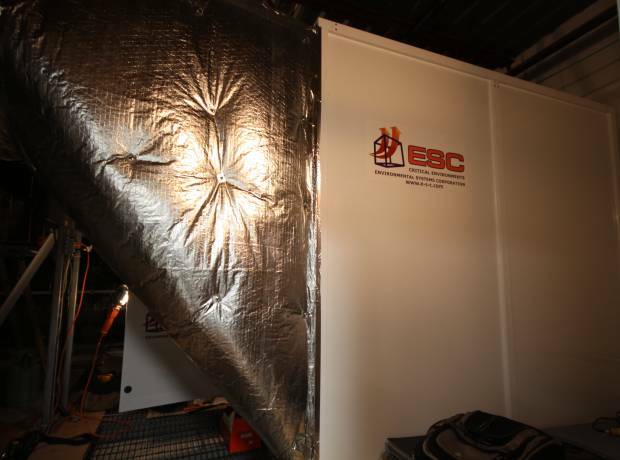 If you need close tolerance control contact ESC to learn how we achieve these conditions. 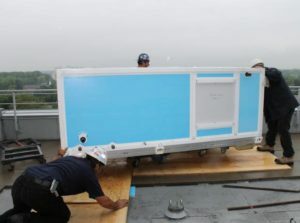 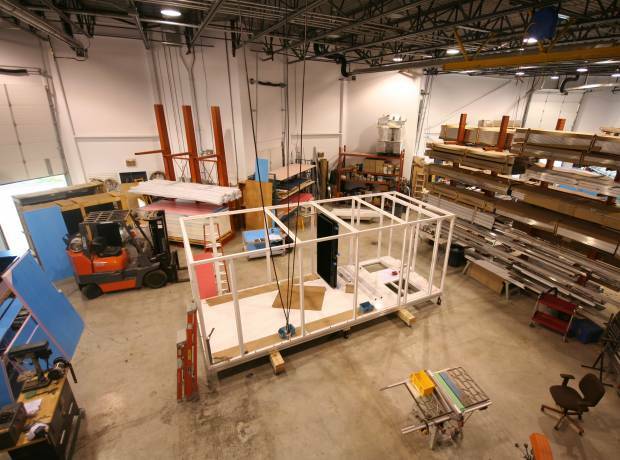 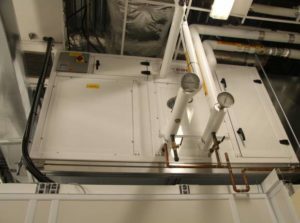 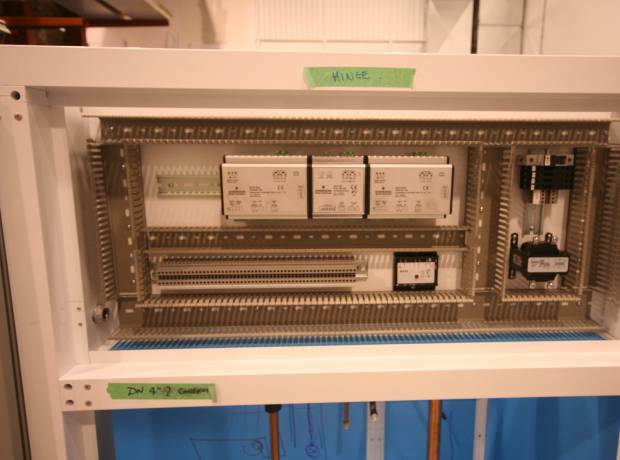 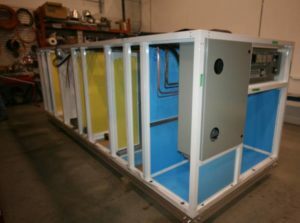 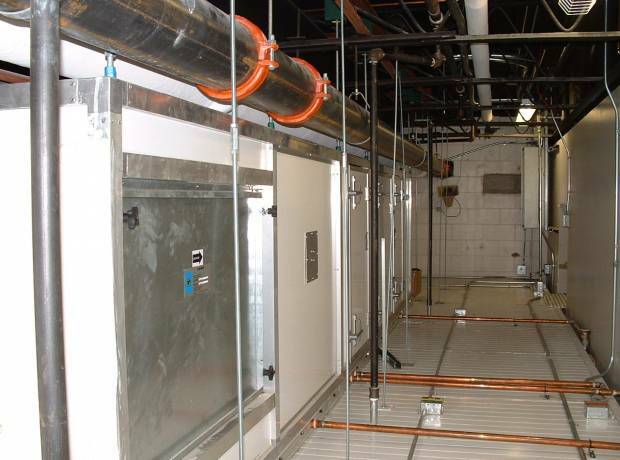 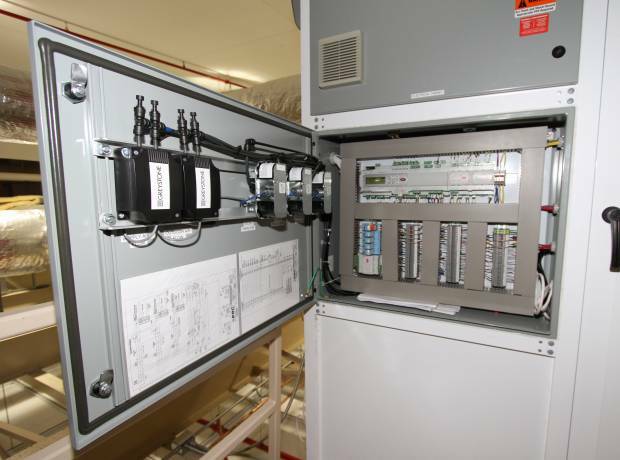 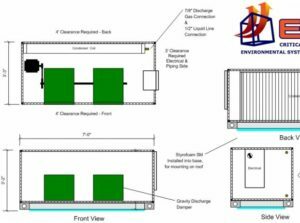 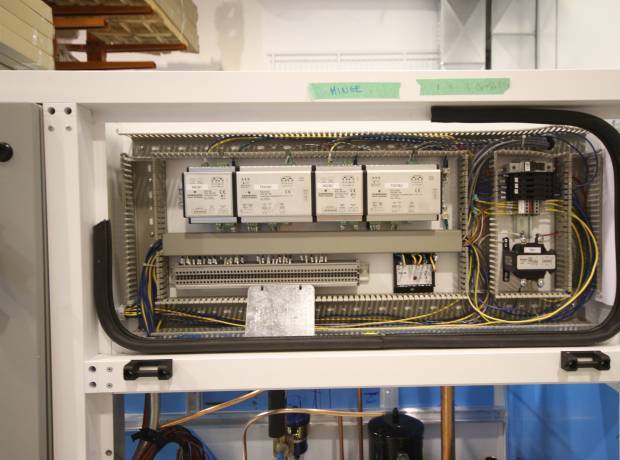 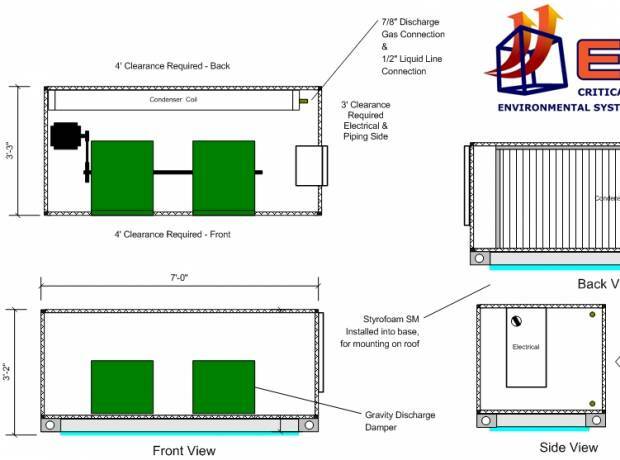 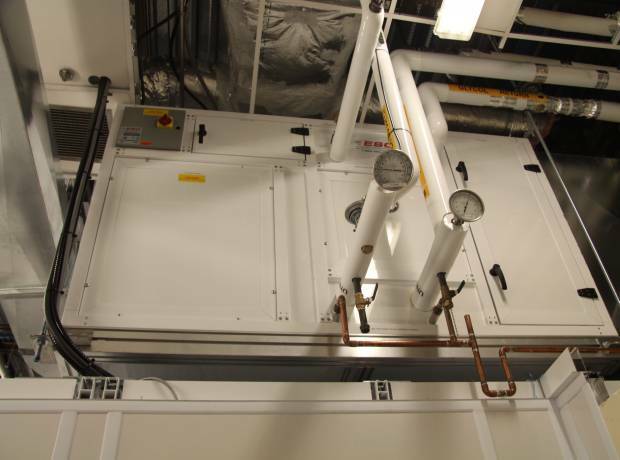 Design of Air Handling Systems, initially to be installed above Cleanrooms on 8th Floor of the M Wing at Sunnybrook Health Sciences. 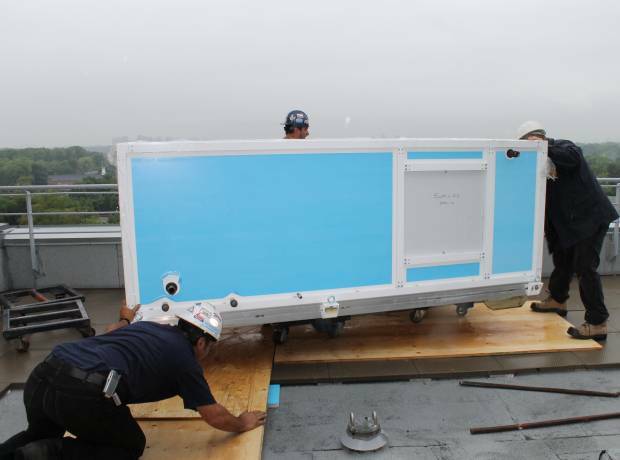 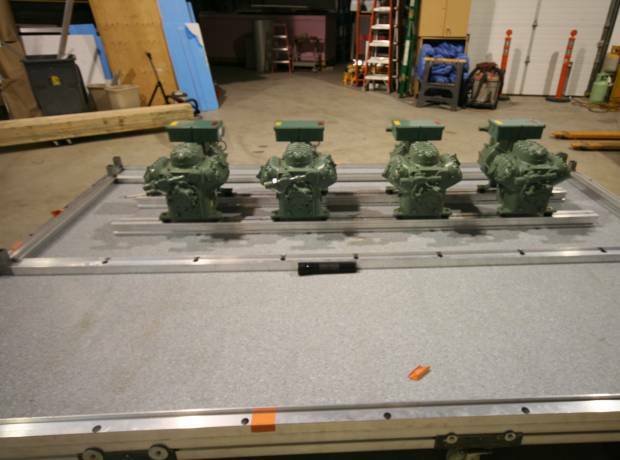 After manufacture they were required to be modified to be installed on the Mechanical Room on the 9th Floor. 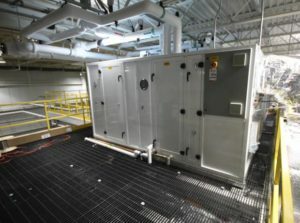 The systems use facility Chilled Water as first stage cooling, and DX Cooling as a second stage to allow summer dehumidification and additional cooling. 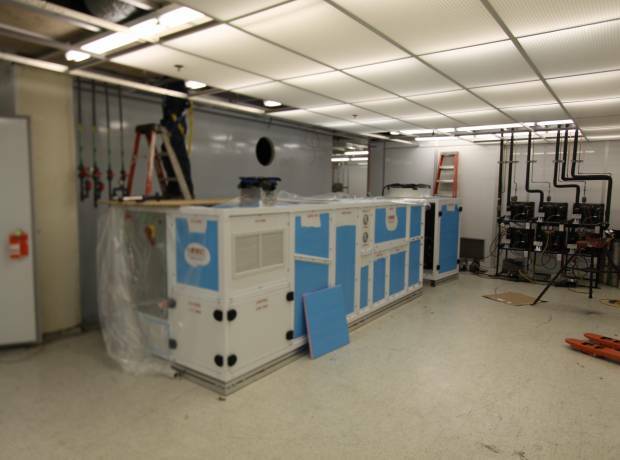 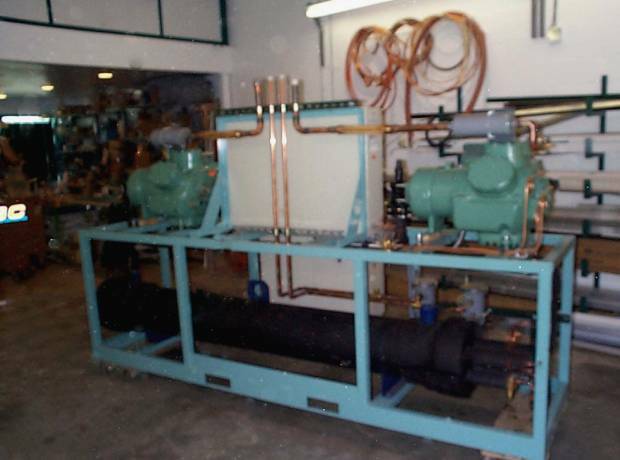 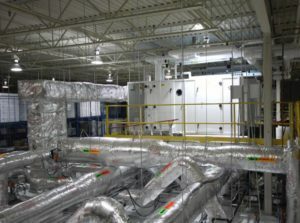 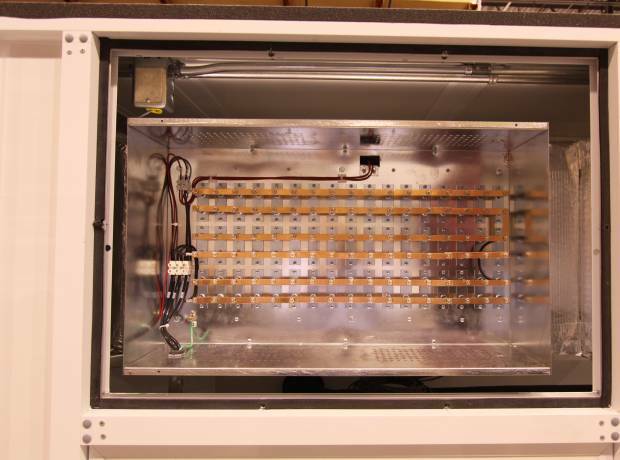 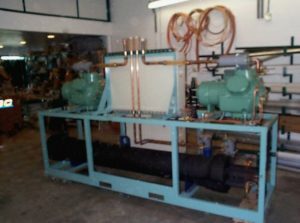 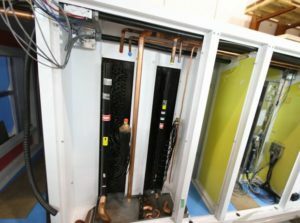 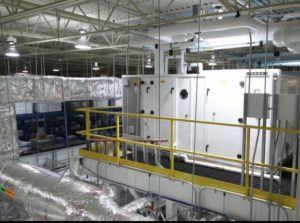 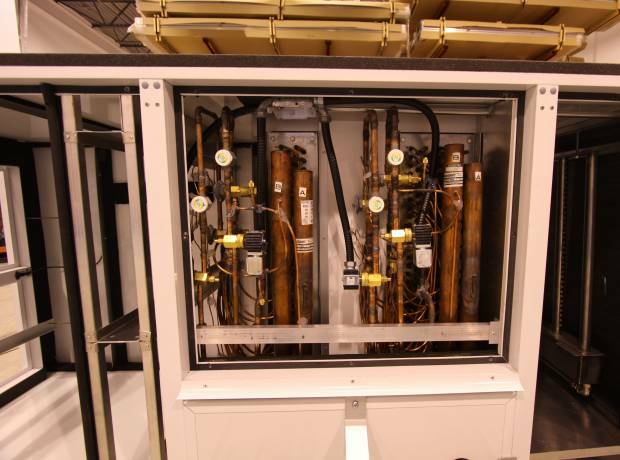 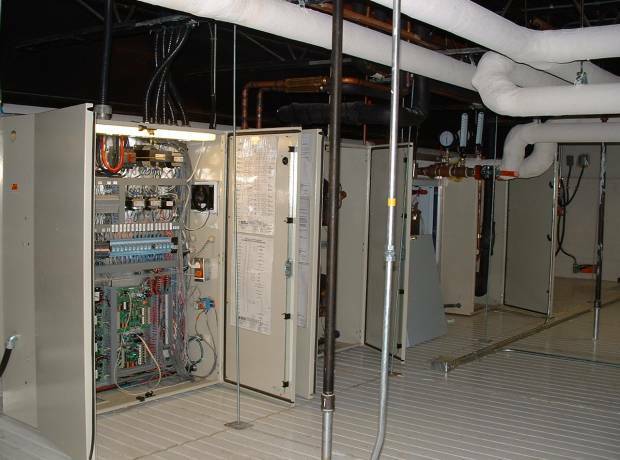 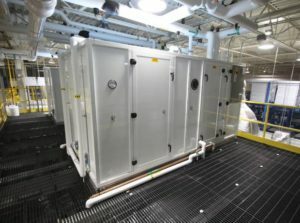 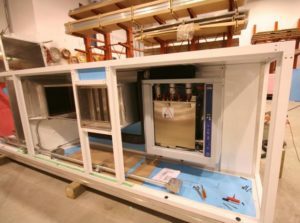 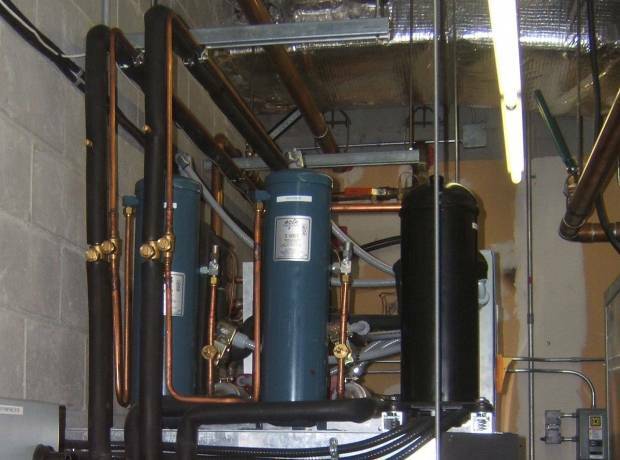 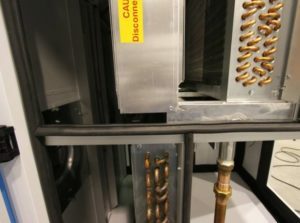 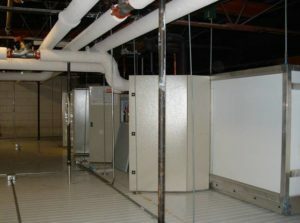 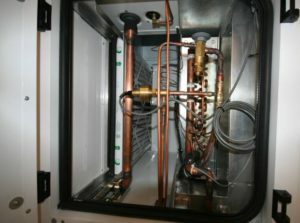 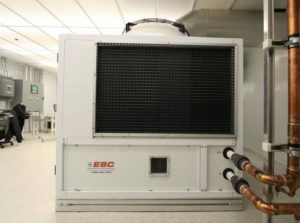 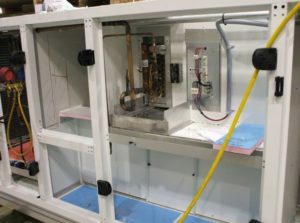 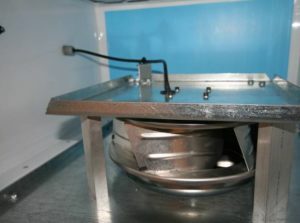 The system was designed to sit within the Cleanroom Change Room and provide 1st Stage Cooling from the campus chilled water system, with the second stage a DX Cooling System, utilizing the chilled water from the first stage cooling coil, and then the condenser water is utilized for reheat before returning to the chilled water system. 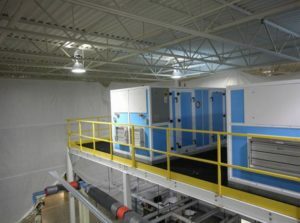 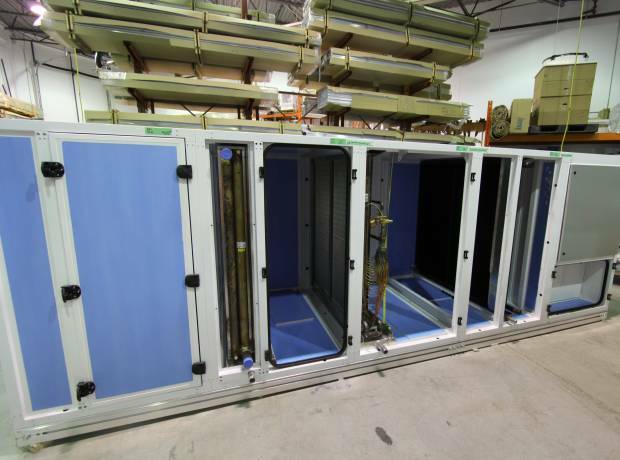 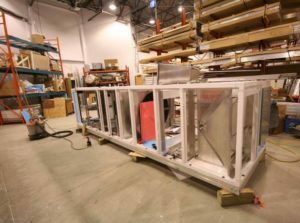 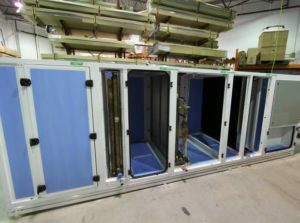 Two Air Handling Units with DX Cooling Systems one for the Cleanroom, and One for the Biological Safety Containment, Level 2 Enhanced. 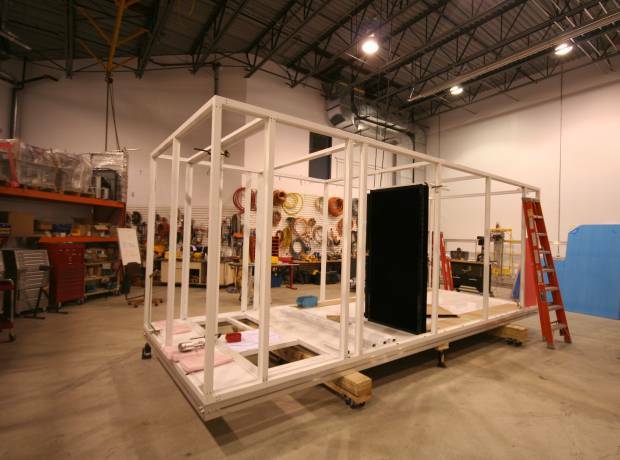 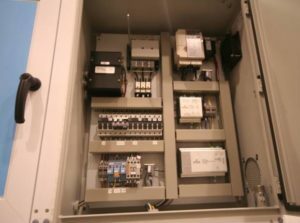 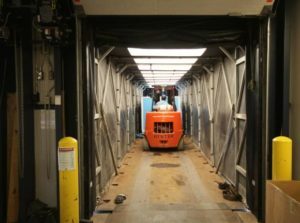 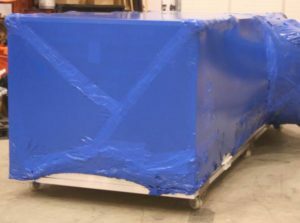 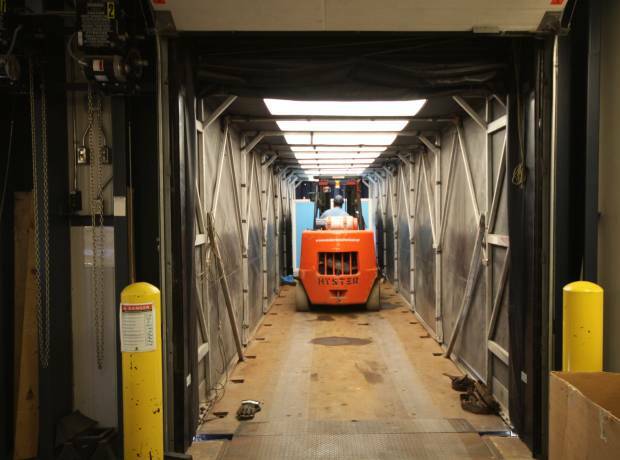 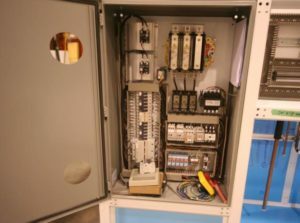 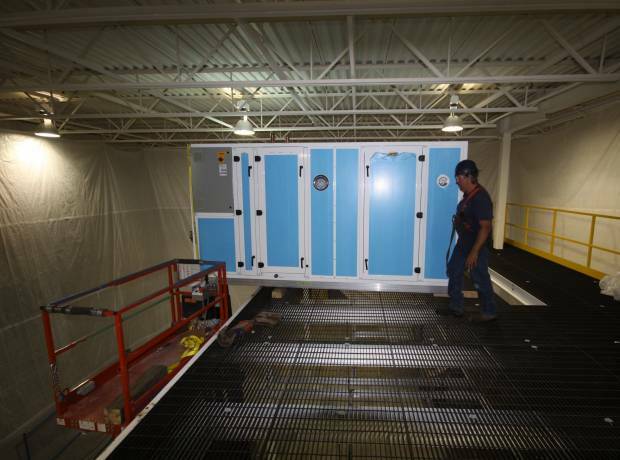 The Challenges on this project was to build a unit that could be shipped in sections to allow it to be delivered inside the existing elevator. 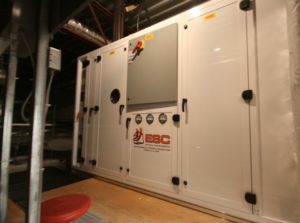 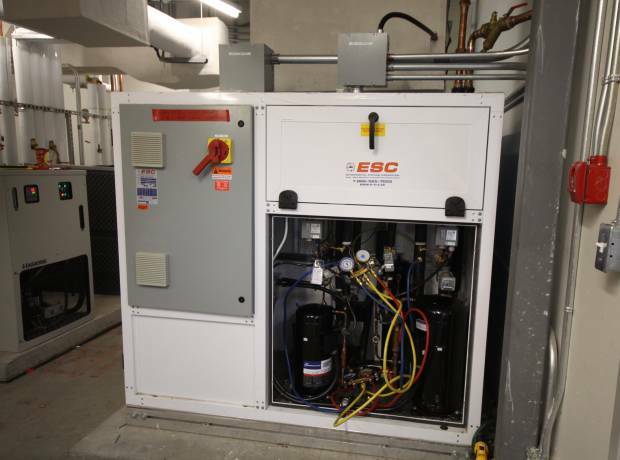 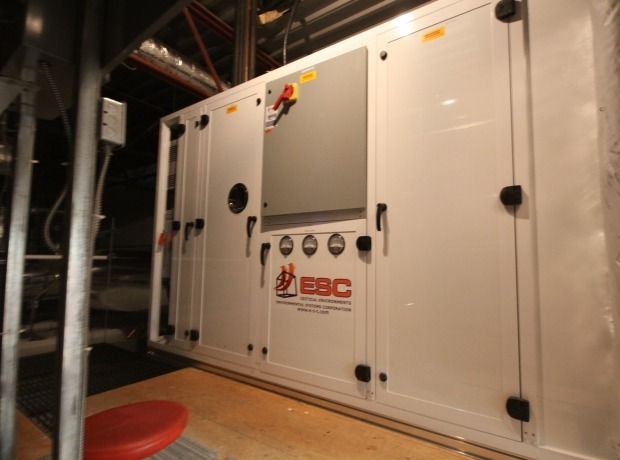 The system utilizes the campus Chilled Water; however this will not allow the required dehumidification in summer conditions. 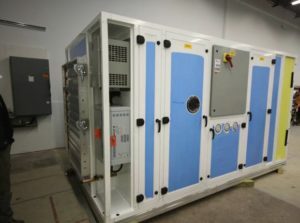 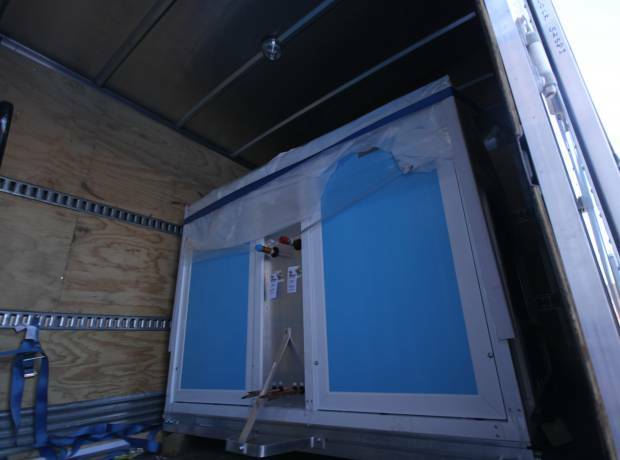 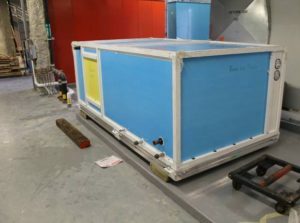 The system has a second stage DX Cooling system, which will dehumidify and reheat with the condensing water, which is then returned to the chilled water system. 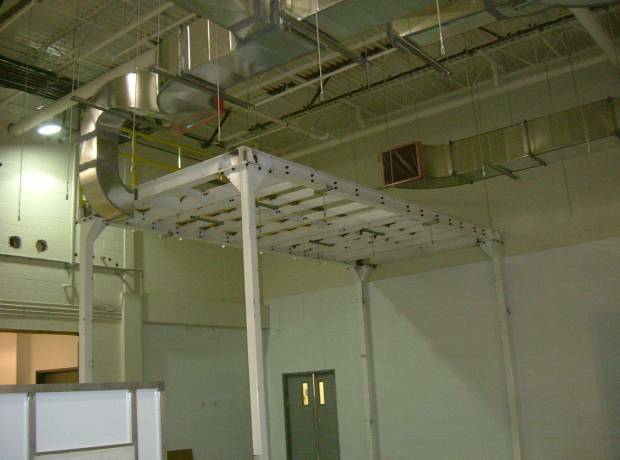 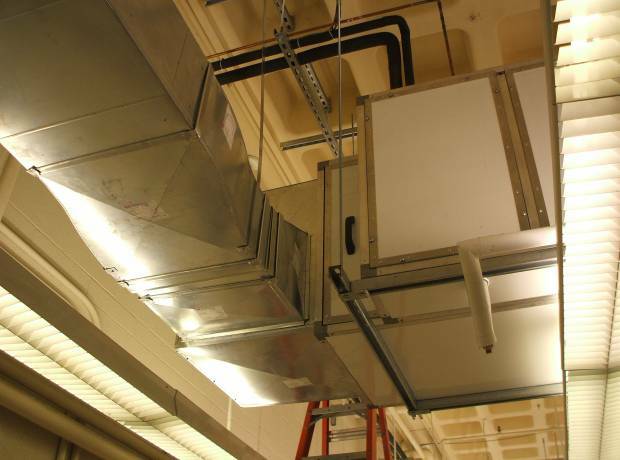 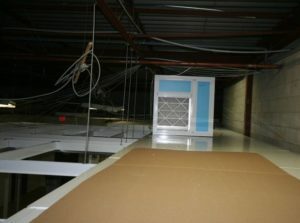 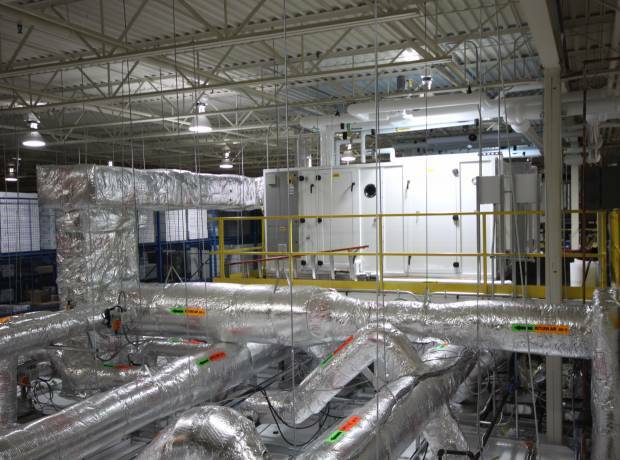 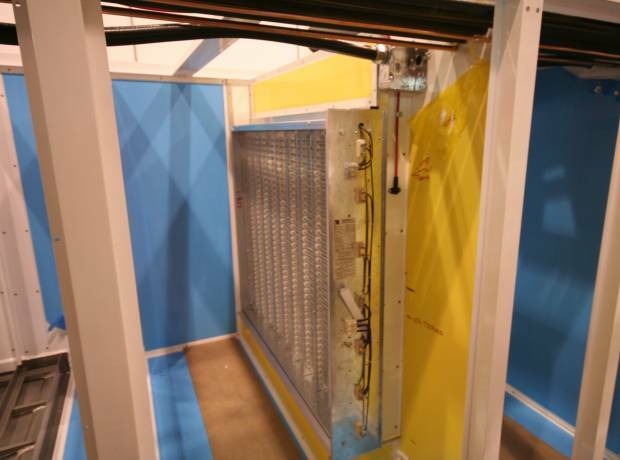 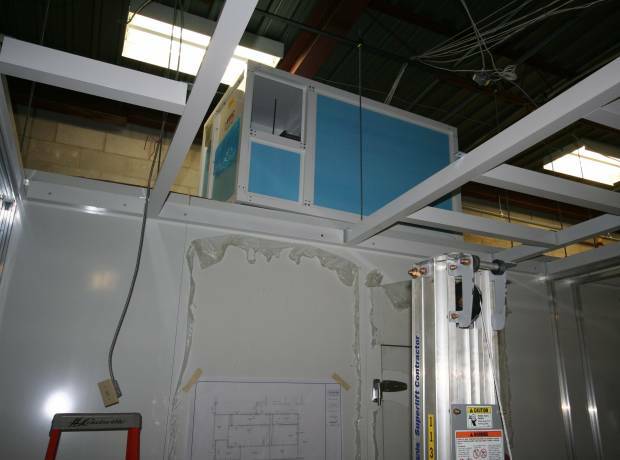 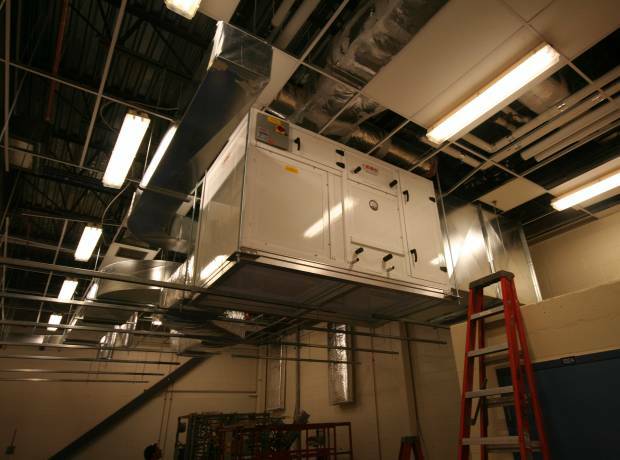 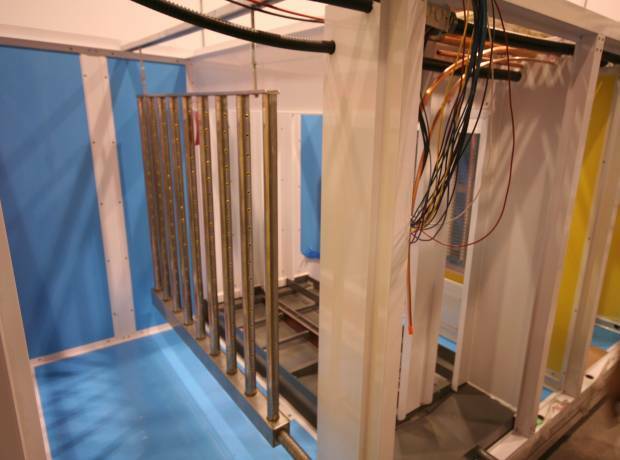 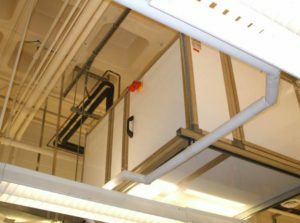 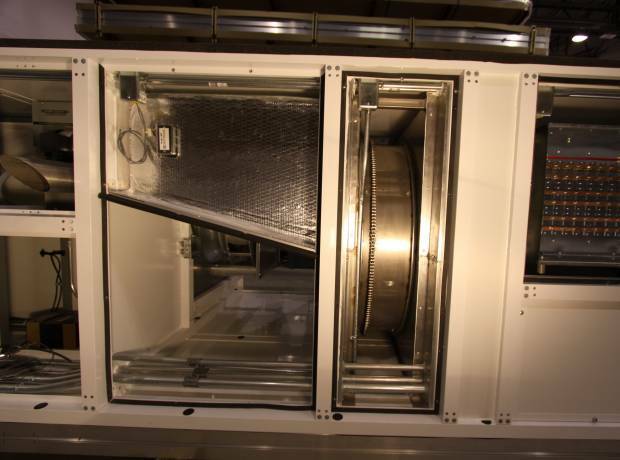 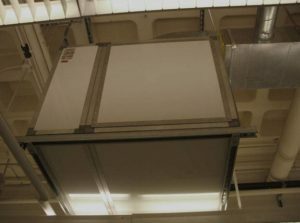 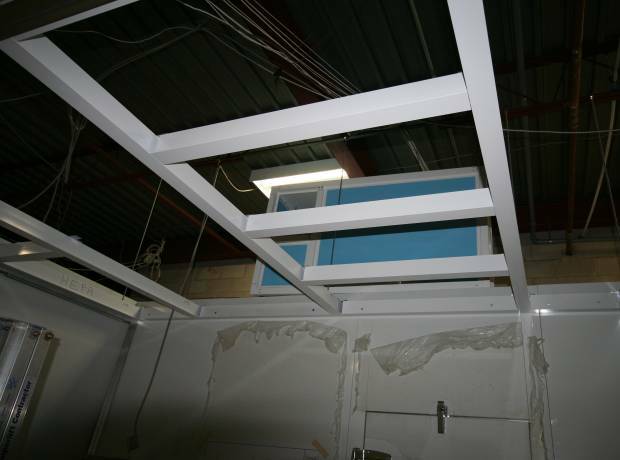 The Air Handling Unit was designed to hang in the ceiling above the Cleanroom. 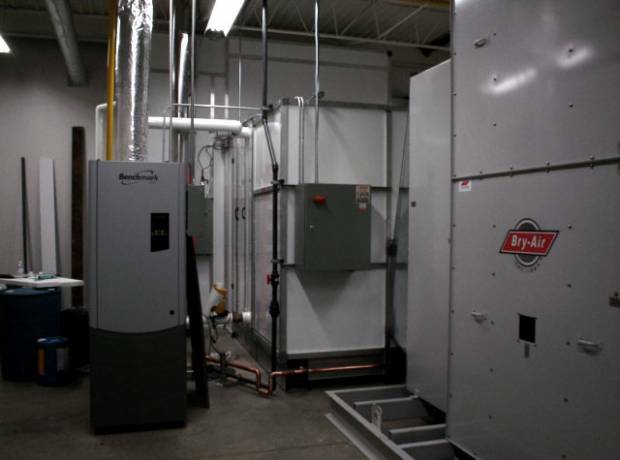 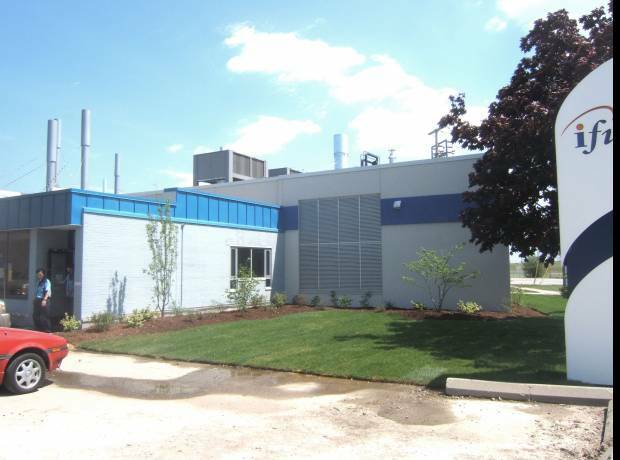 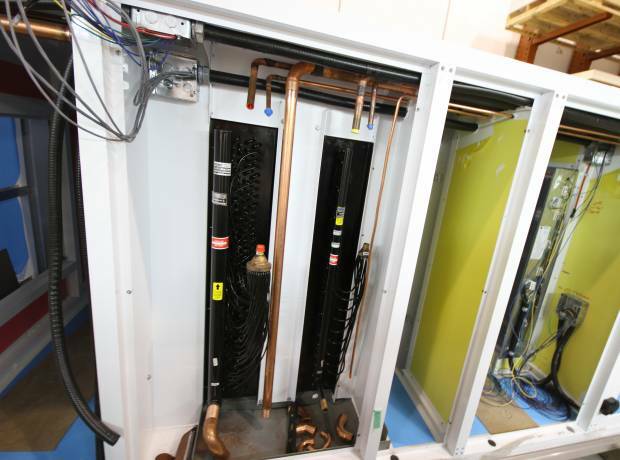 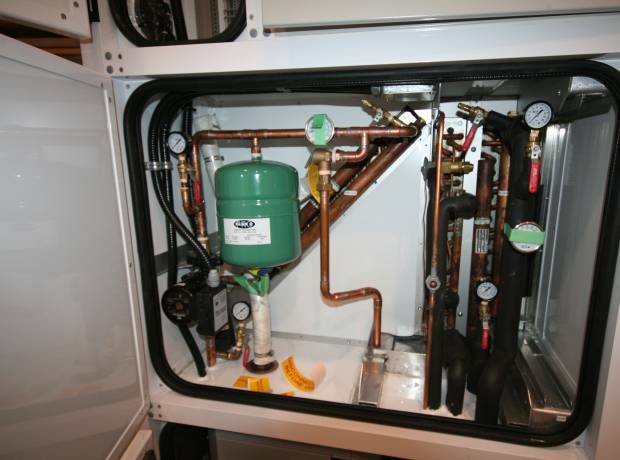 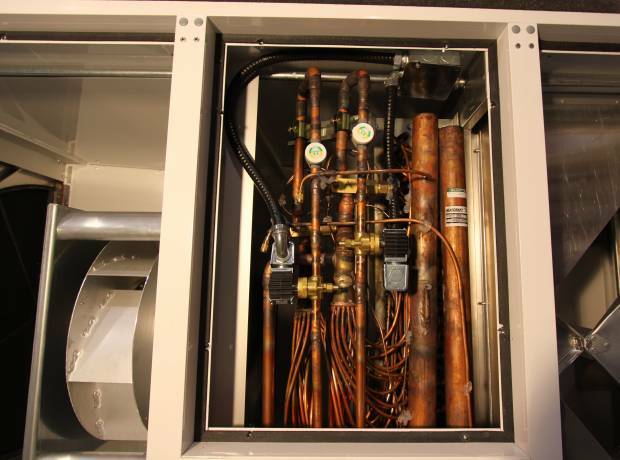 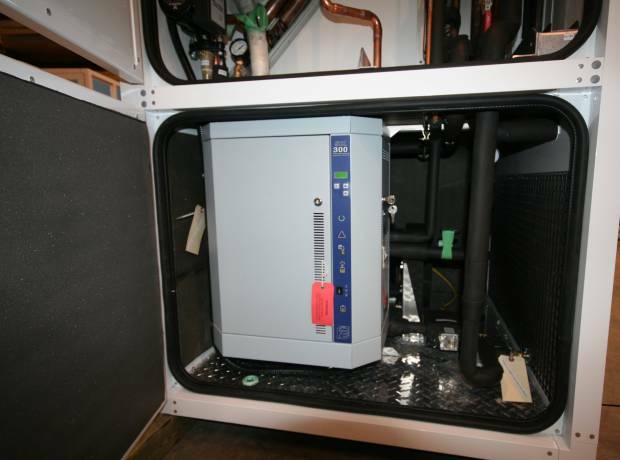 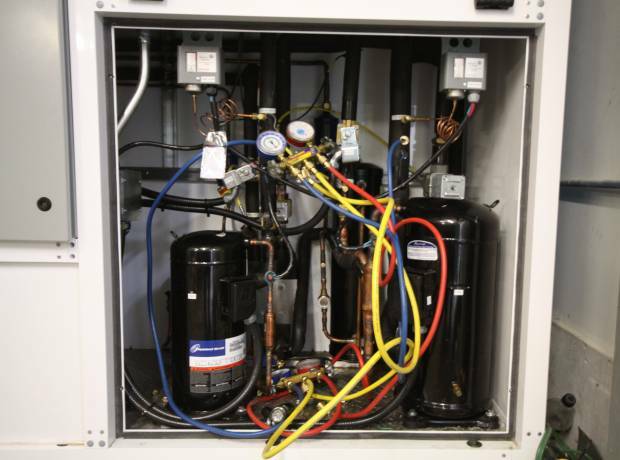 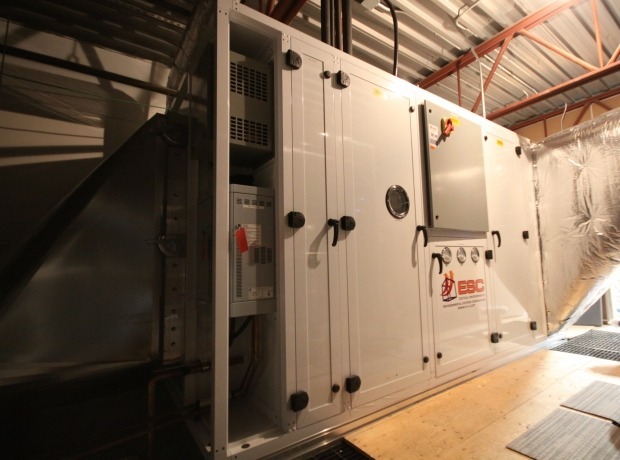 The unit utilizes the building Chilled Glycol, and Hot Water for the Heating and Cooling Required. 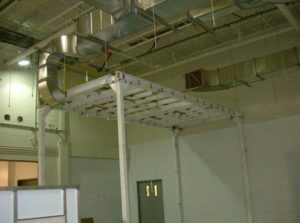 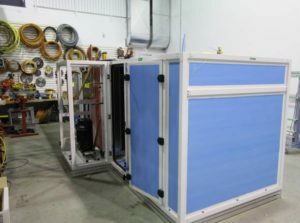 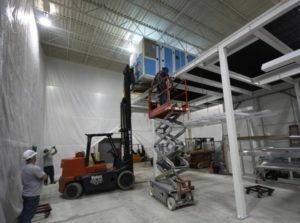 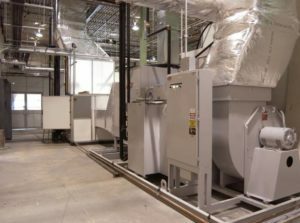 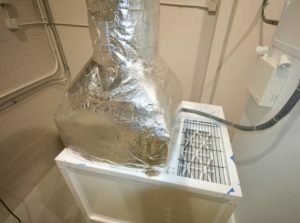 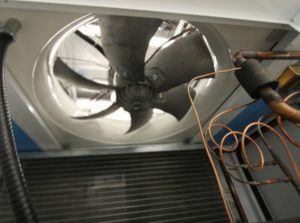 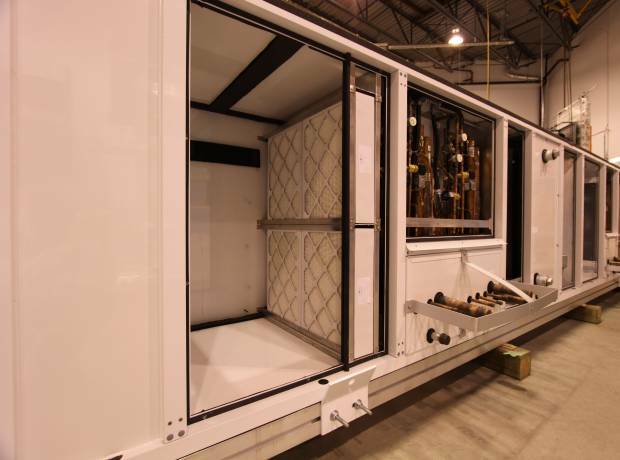 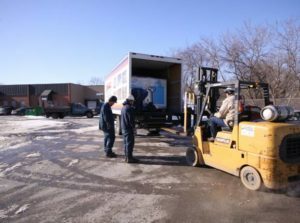 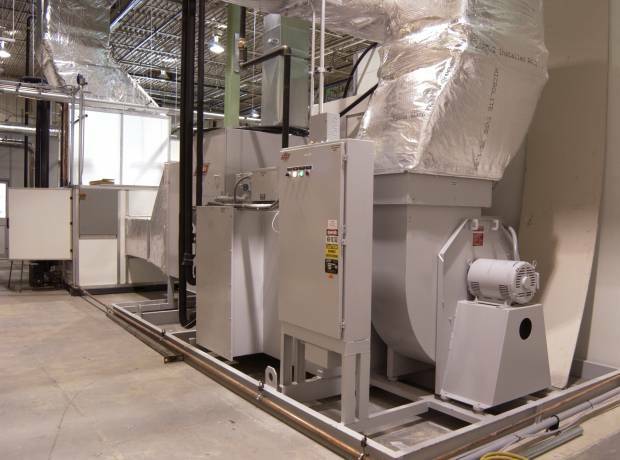 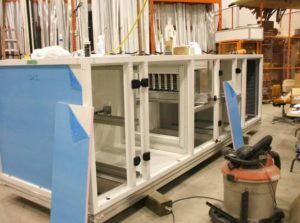 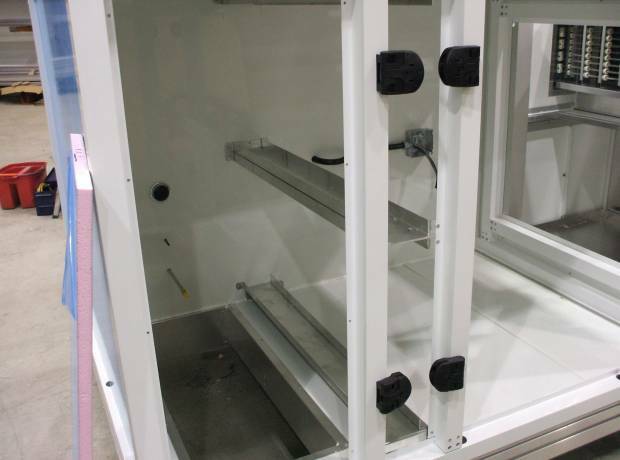 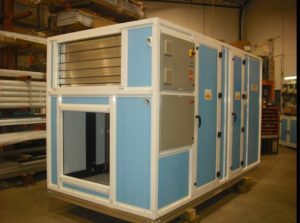 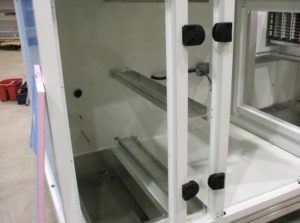 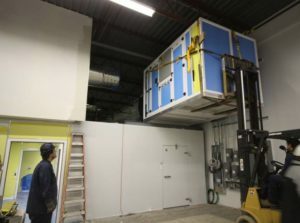 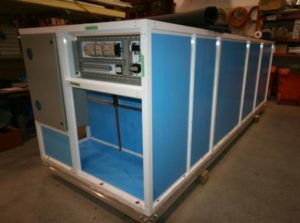 The Air Handling Unit is in a Warehouse to provide Cooling, Heating, Humidity & Dehumidification to a Sample Testing Room, which uses a dust extraction system while sample testing, and increases the pressurization air to compensate for the exhaust. 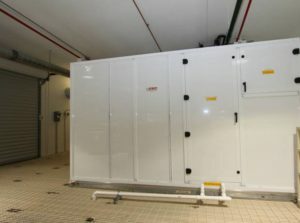 The requirement is to maintain the Walk In cooler with 6 Zones, to be maintained at ISO 8 Cleanroom requirements, and temperature below 8oC, and the Humidity below 20%. 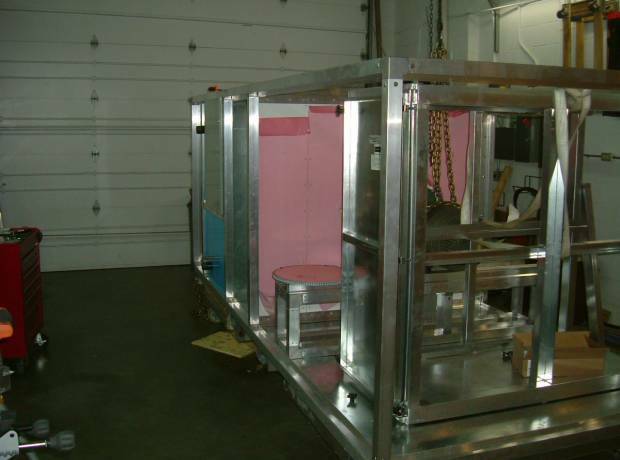 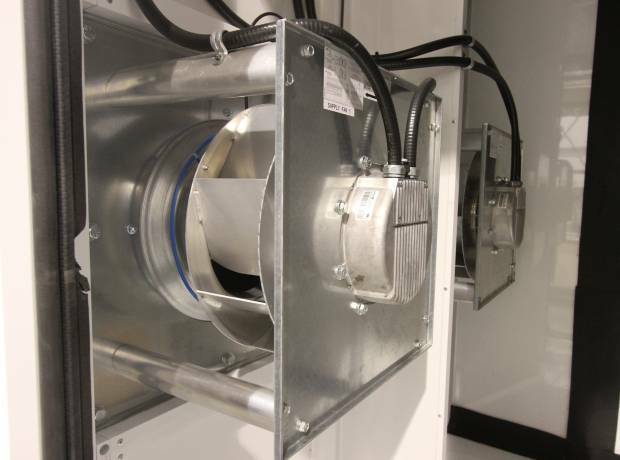 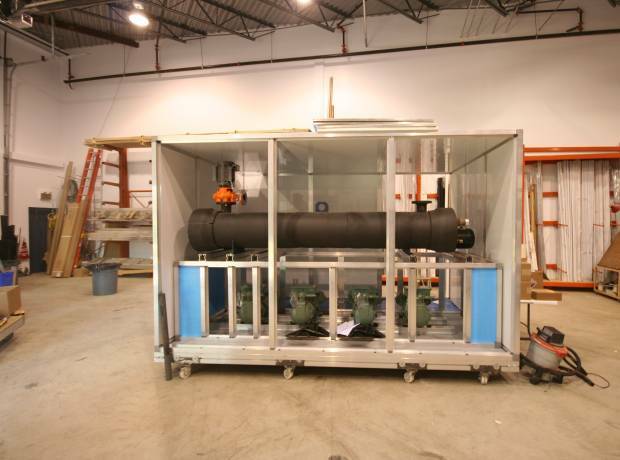 The Air Handling unit was constructed with a Heat Pipe Heat Recovery for the Desiccant Dehumidification Wheel. 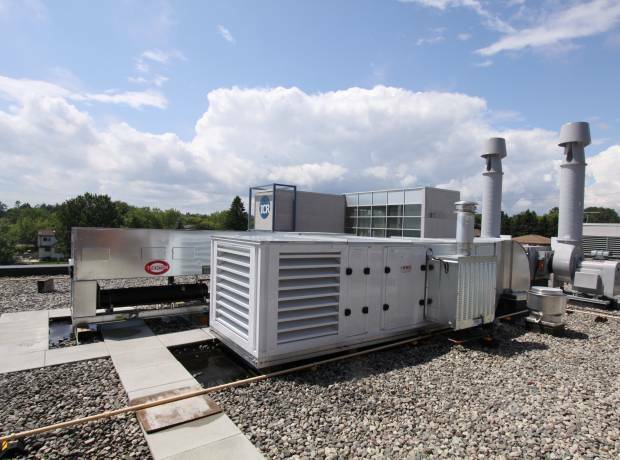 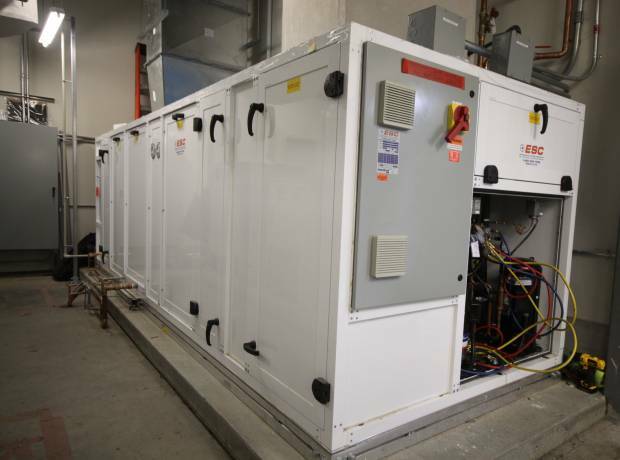 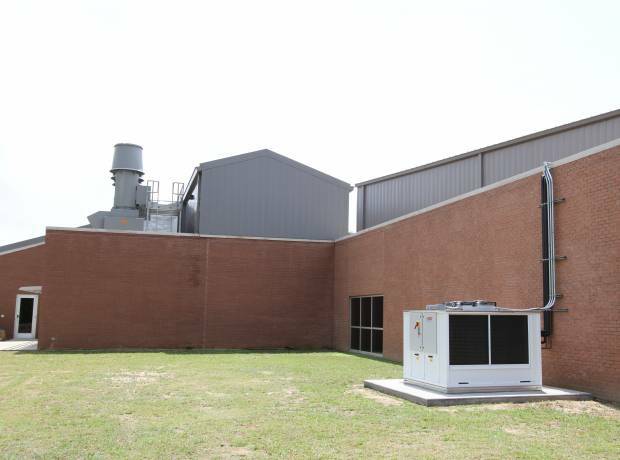 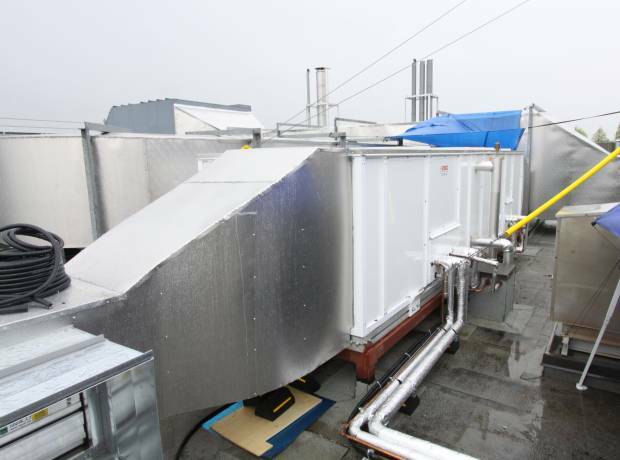 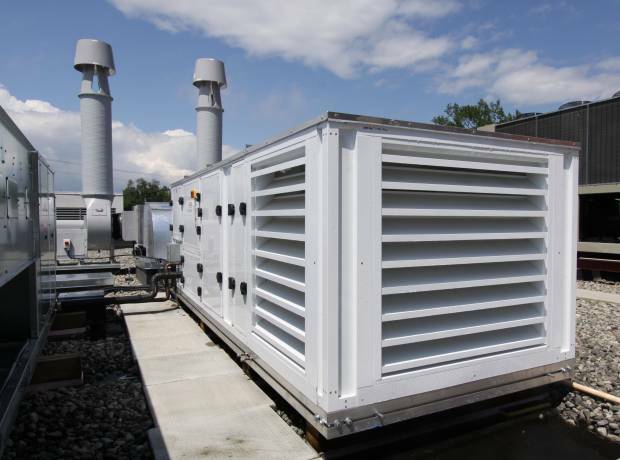 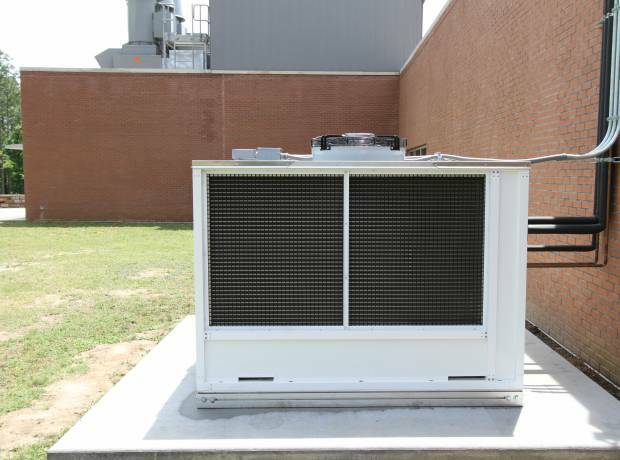 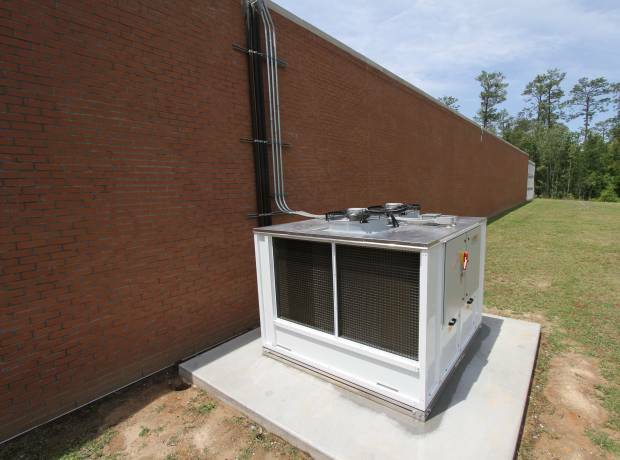 The AHU has a Direct Expansion Cooling Unit, which uses building cooling tower water for the condenser. 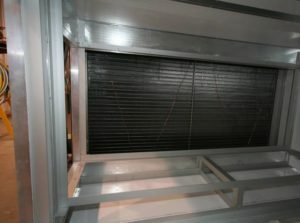 To prevent failure in case of cooling tower failure the system has an air-cooled condenser as a second stage. 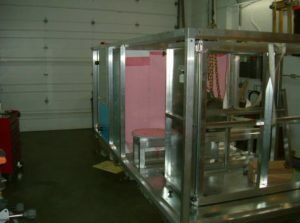 The units were constructed to be roof mounted, and provide individual unit control for each of the three Pilot Suites. The units each contain direct drive fan technology, cooling, heating humidification and dehumidification as well as the ability to add pressurization air. 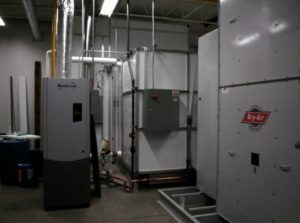 The air-cooled compressor systems use Copeland Digital Modulating Scroll Technology for Energy Efficiency and Capacity Control. 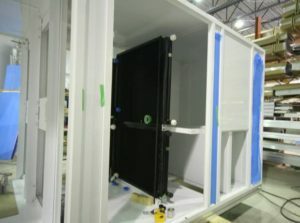 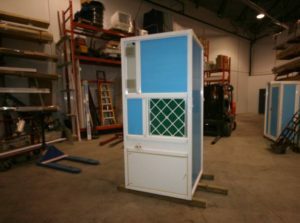 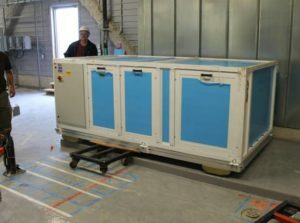 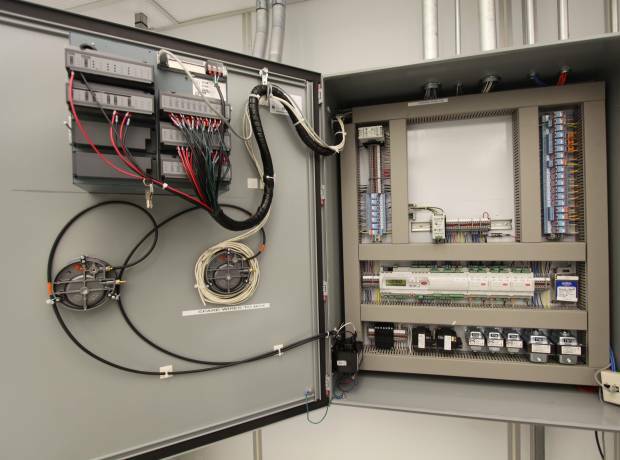 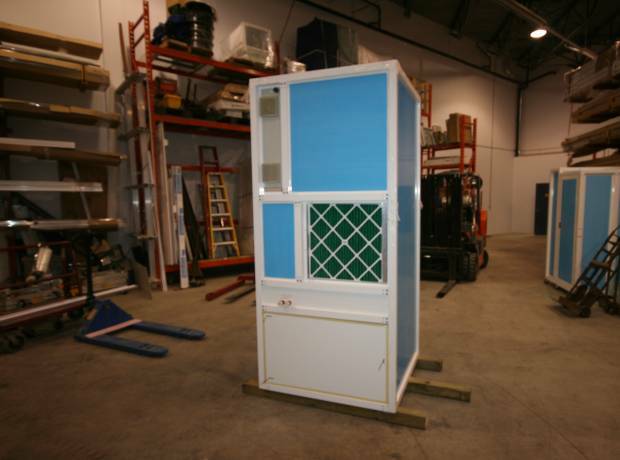 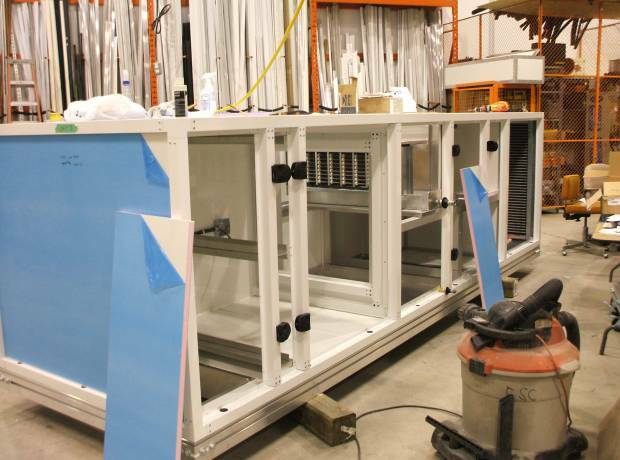 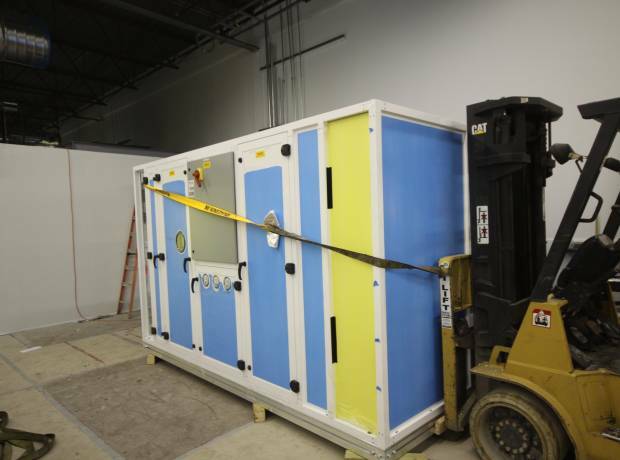 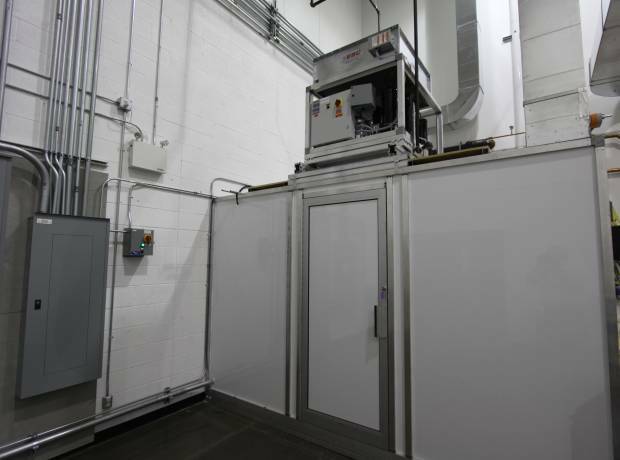 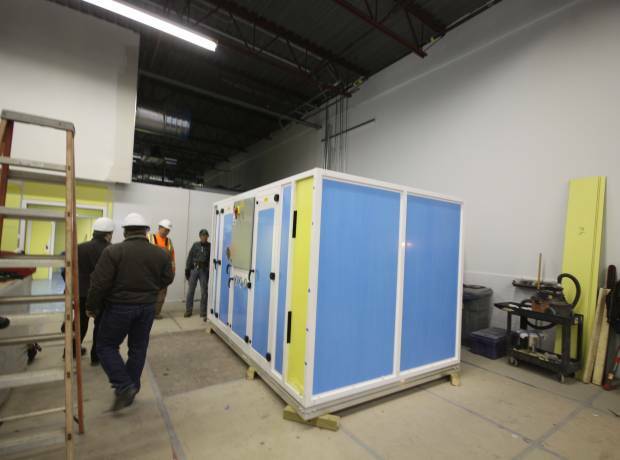 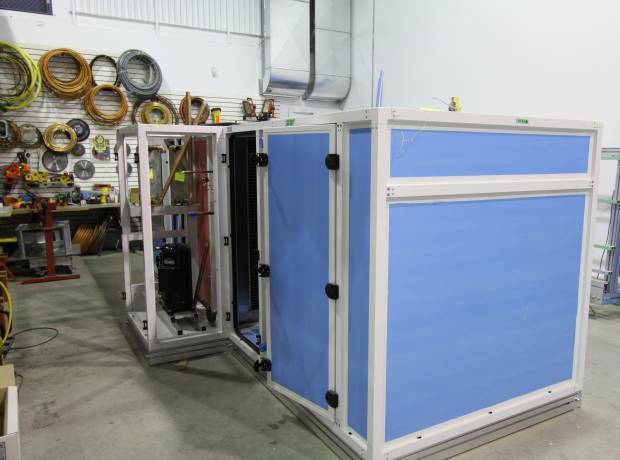 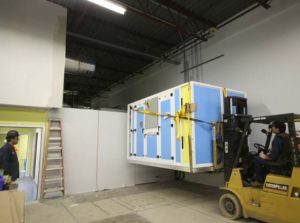 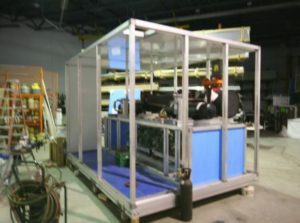 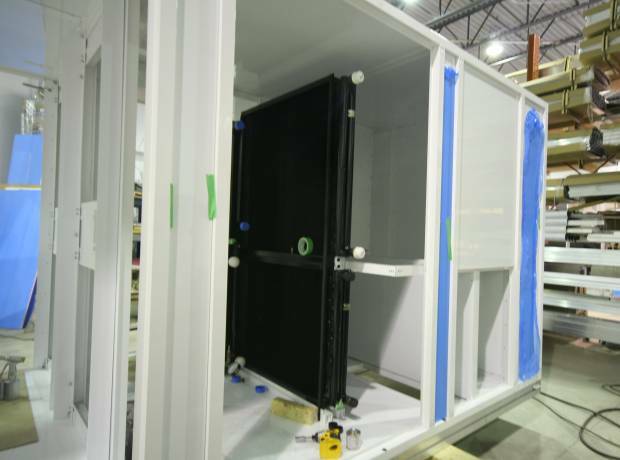 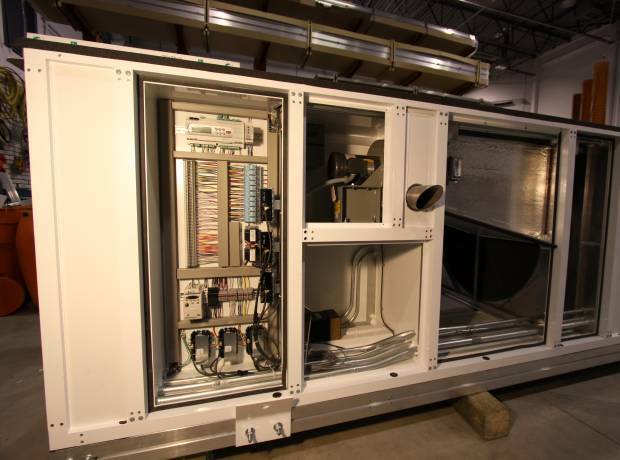 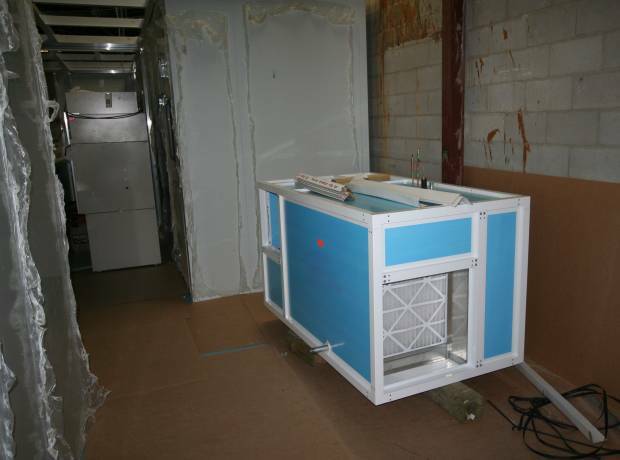 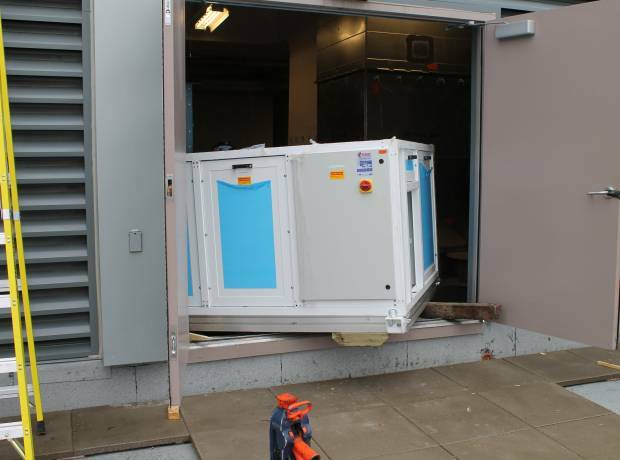 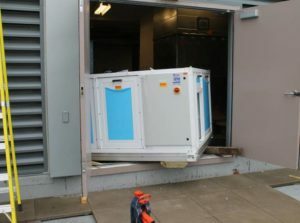 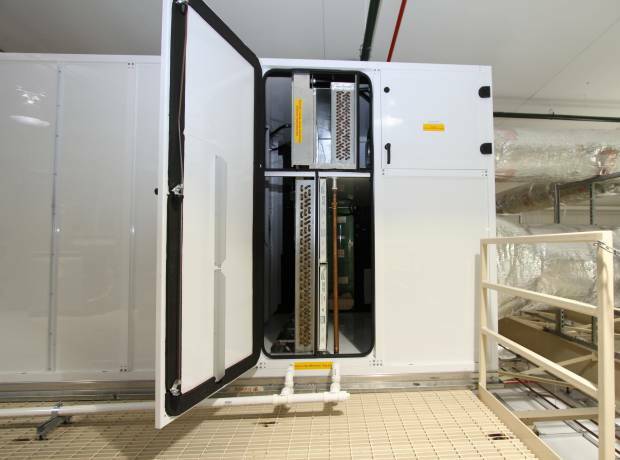 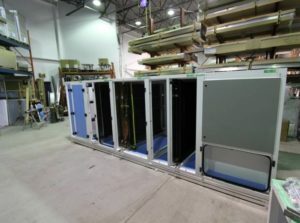 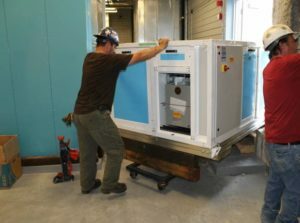 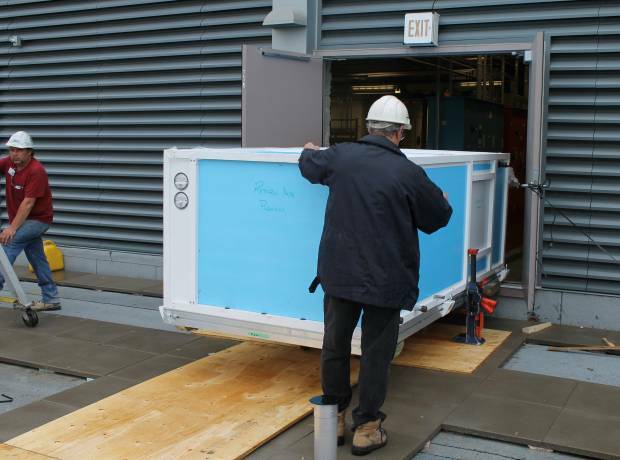 The new Make Up Air Unit to provide the wide range of Temperature and Humidity Conditions required by the Environmental Test Cell at the River Road, Ottawa Facility. 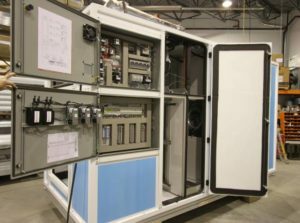 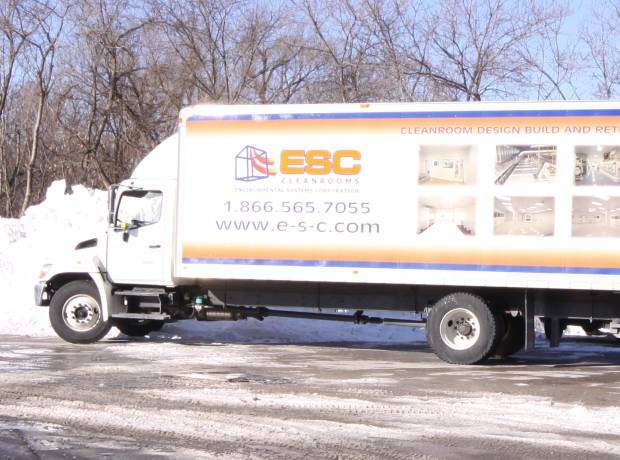 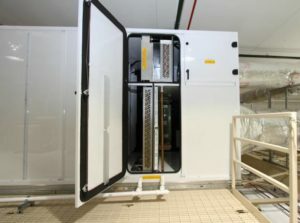 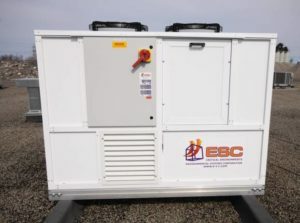 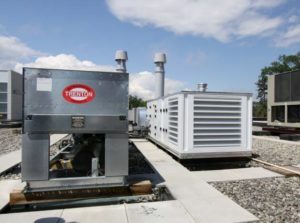 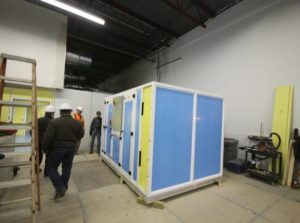 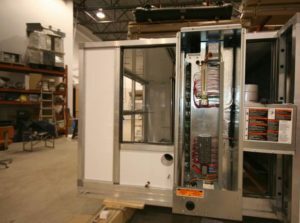 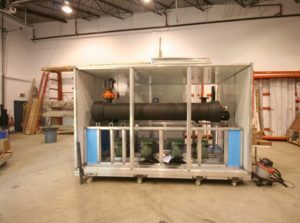 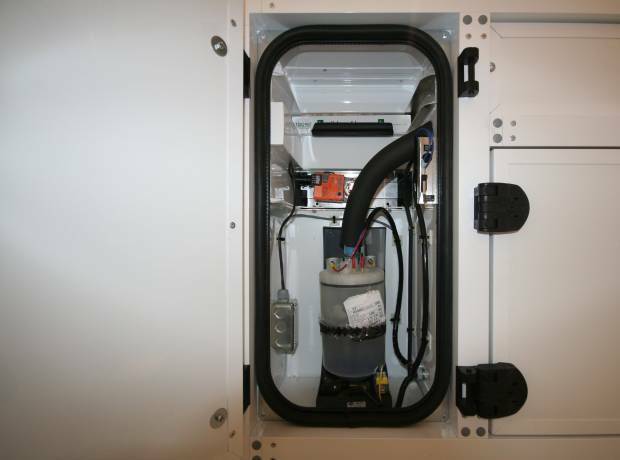 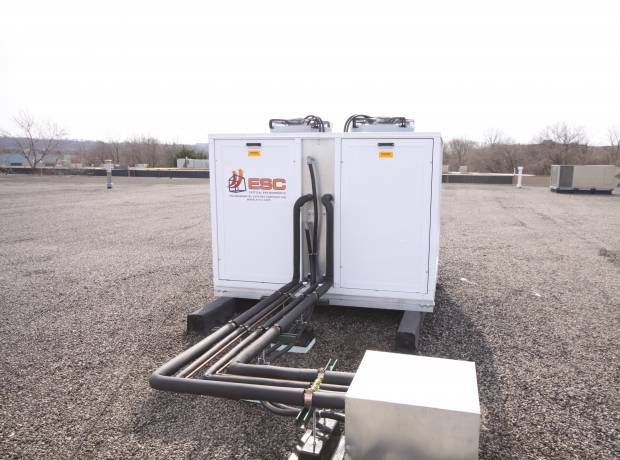 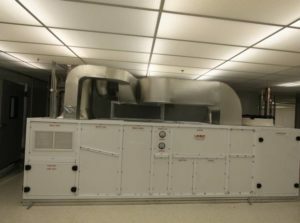 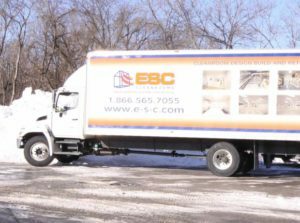 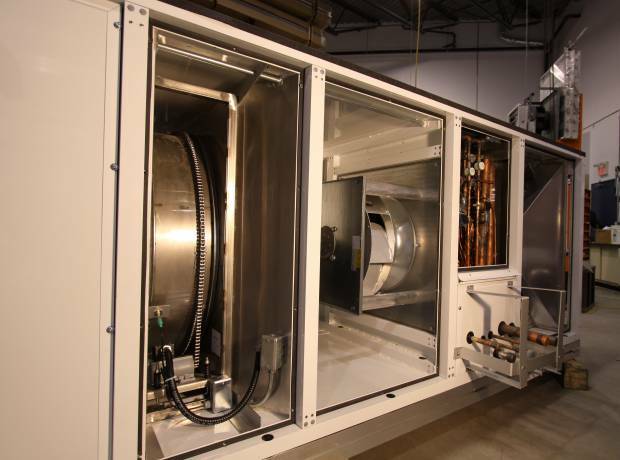 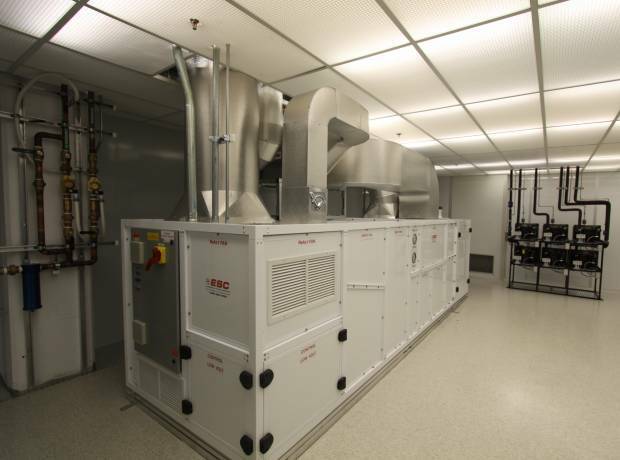 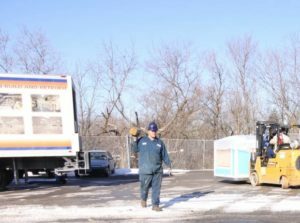 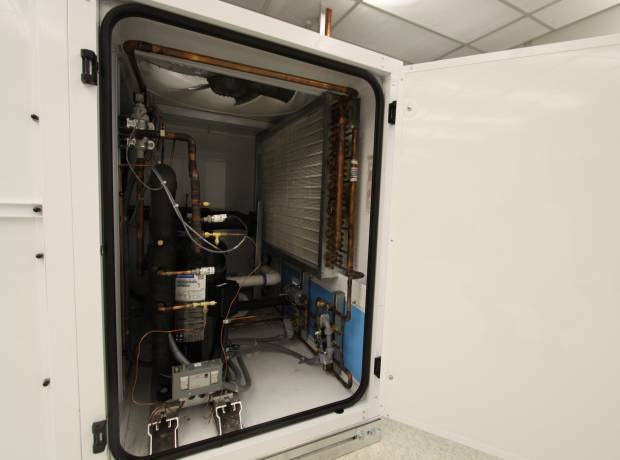 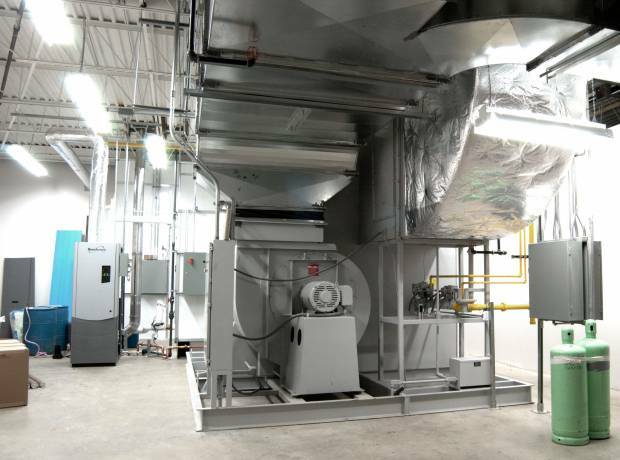 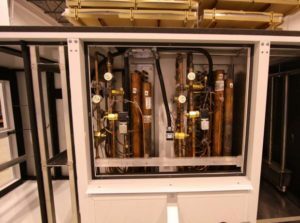 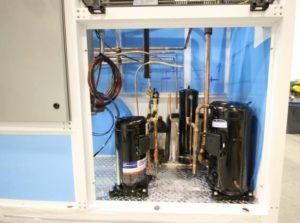 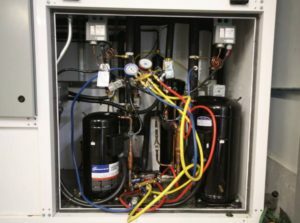 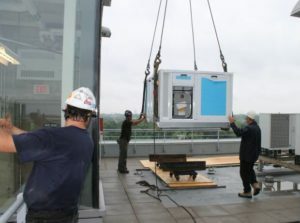 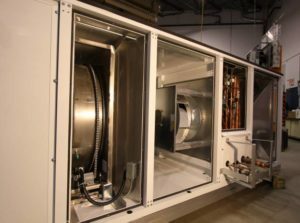 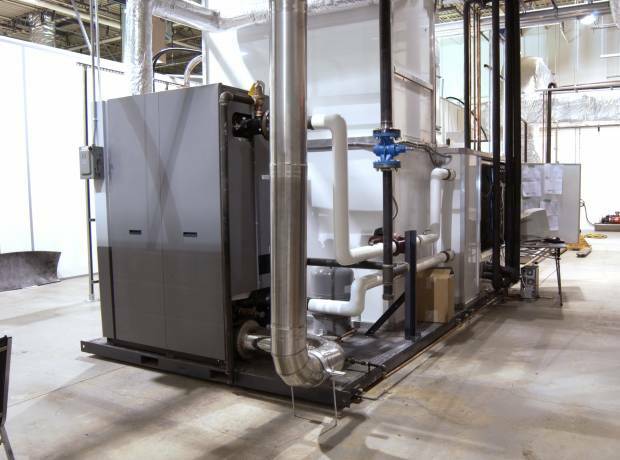 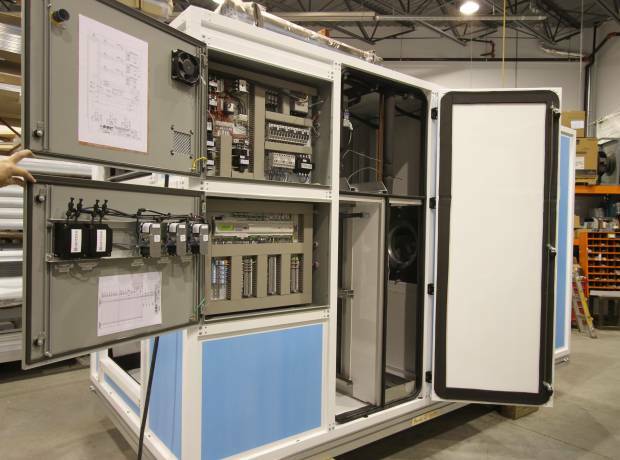 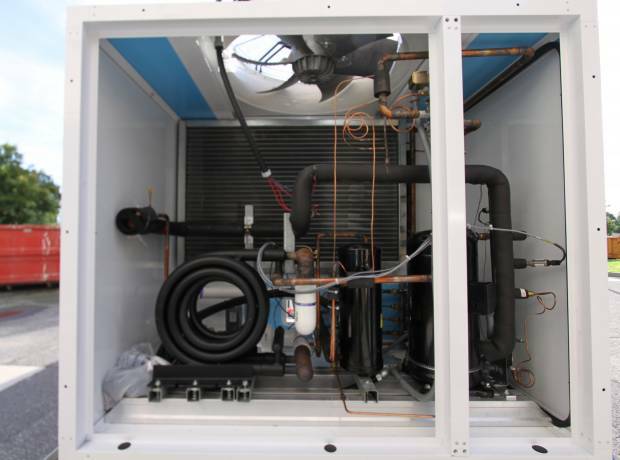 The unit was designed to utilize the existing air cooled condensing units, and provides filtration, cooling, heating and desiccant wheel dehumidification capabilities. 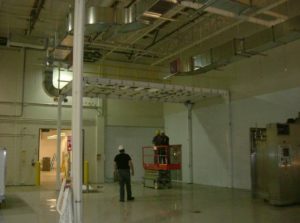 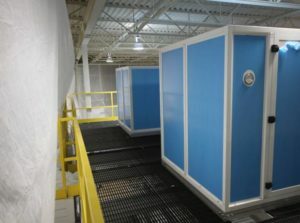 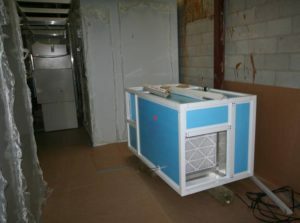 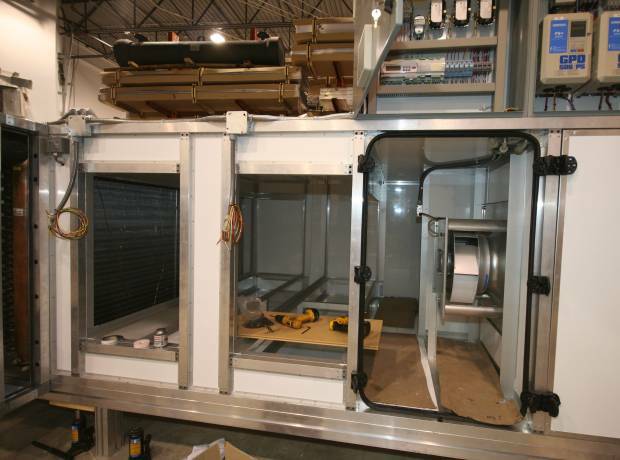 To provide the cooling and make Up Air Requirements for the Cleanroom located in the basement. 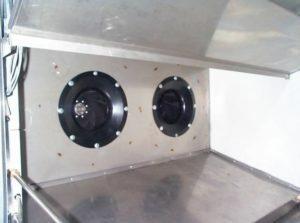 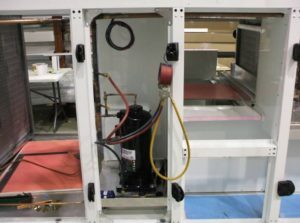 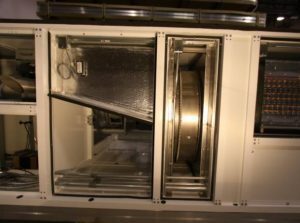 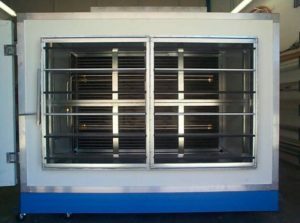 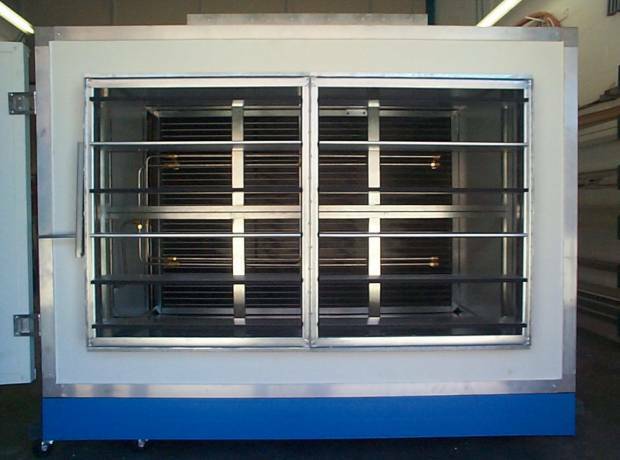 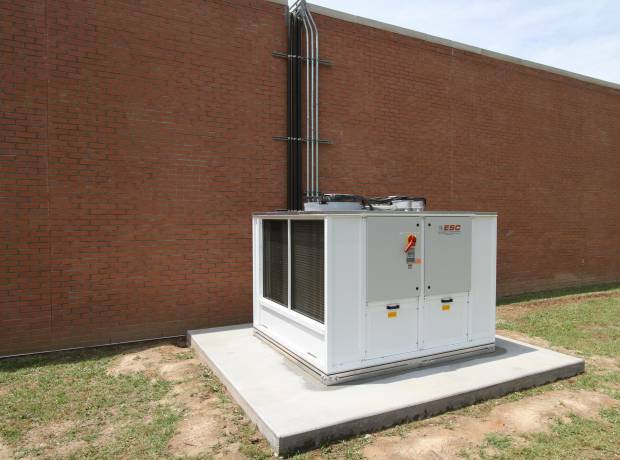 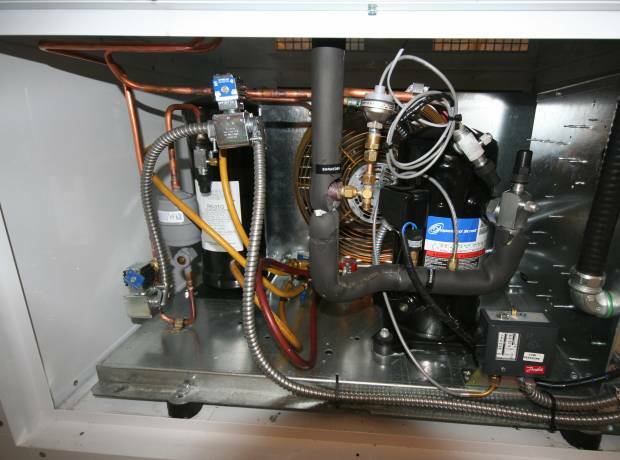 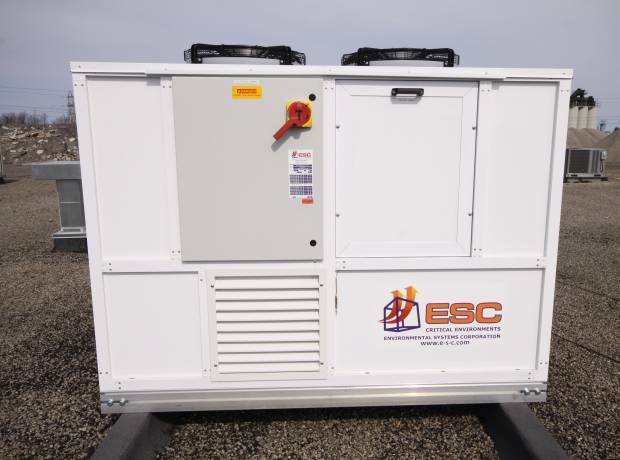 The Make Up Air unit was designed to utilize the one large breaker remaining, so the MUA was designed to be the splitter location for the roof Mounted Trenton Air Cooled Condensing Units, and the High Plume Exhaust Fans. Make Up Air / Air Handling Systems were manufactured to allow ease of removal, when the need for expansion or relocation occurs. One Make Up Air Unit, to provide conditioned air that included 30% Pre-filtration, Carbon Filtration to remove airborne Mercury, Chilled Water Cooling. 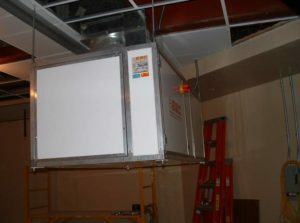 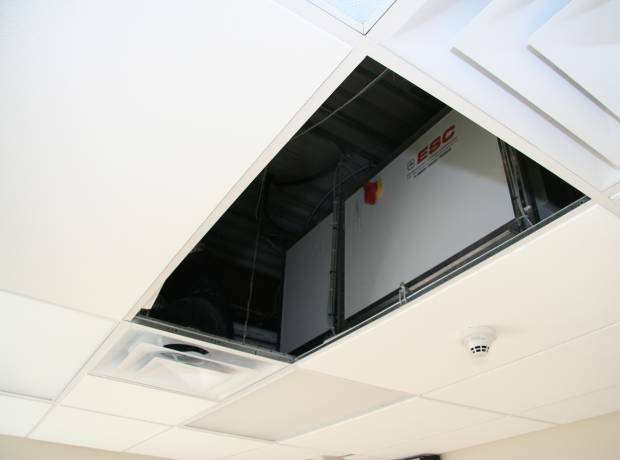 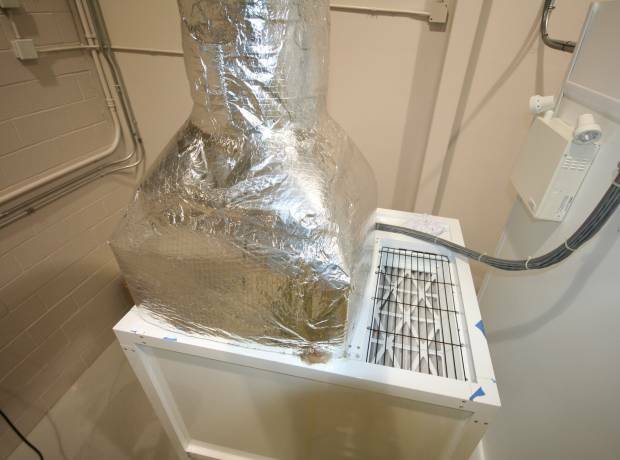 The Air Handling unit was constructed to fit in the ceiling space of an adjacent room. 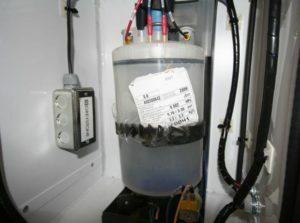 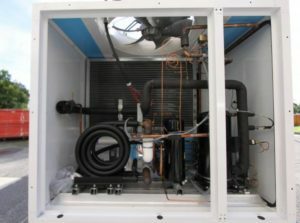 The unit supplies the cooling and humidification required. 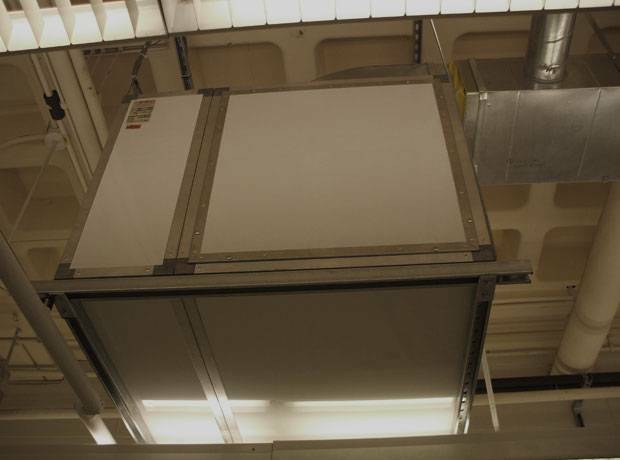 The primary airflow for the ISO 4 Cleanroom is provided by 100% ceiling coverage of ECM Room Side Replaceable HEPA Fan Filter Modules. 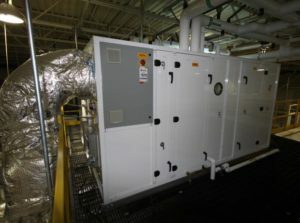 The systems were designed to move into a leased space, and provide 8,000 CFM 100% Outside Air at 68oF and less than 35% Humidity. 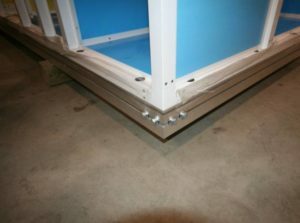 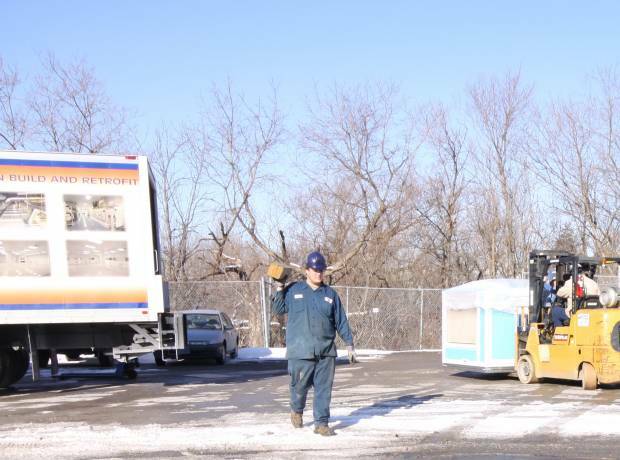 The units were skid mounted to allow their easy removal at the end of the project. 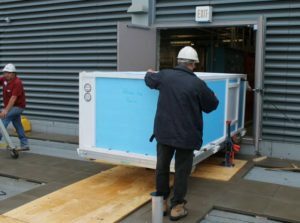 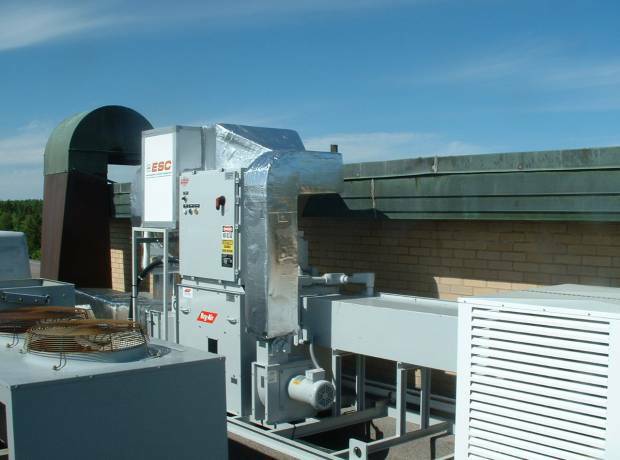 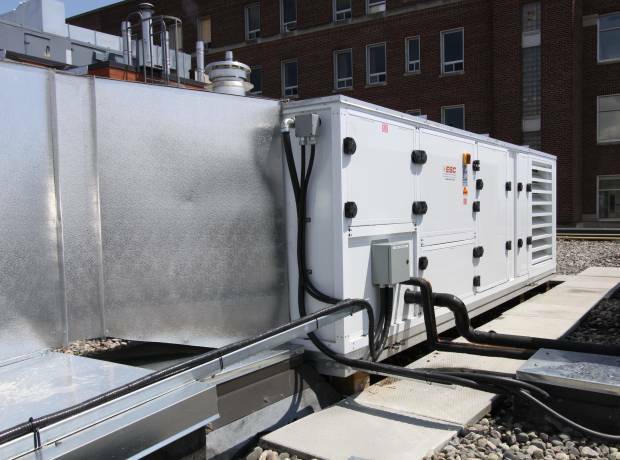 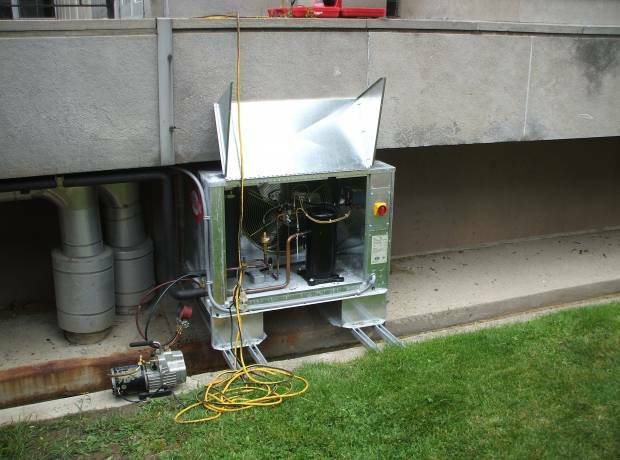 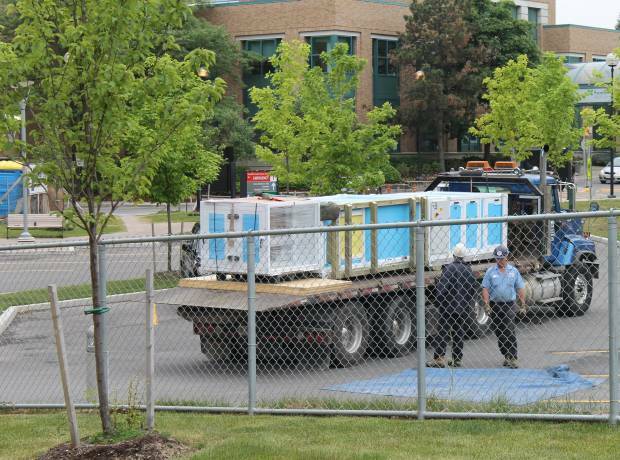 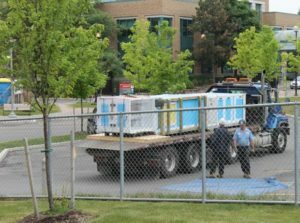 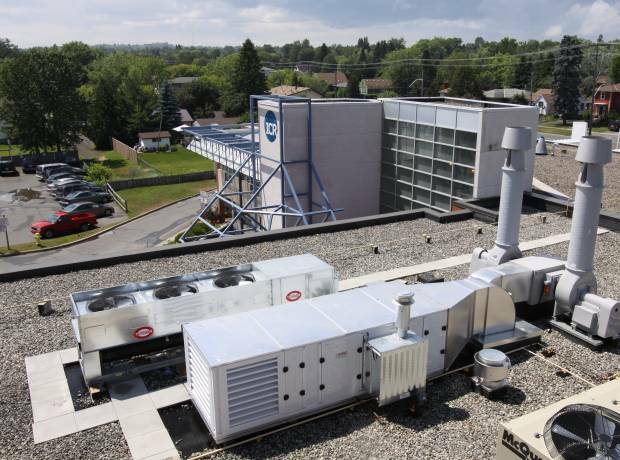 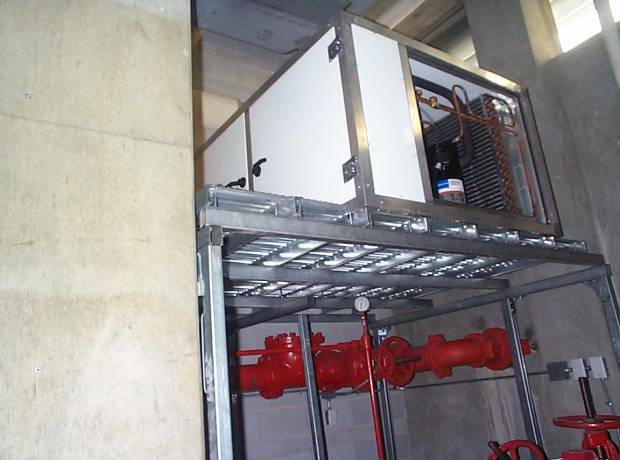 The requirement was to design and construct a 15 Ton Glycol Chiller that could not exceed 39″ in height to keep the unit below the top of the Peace Tower in Ottawa. 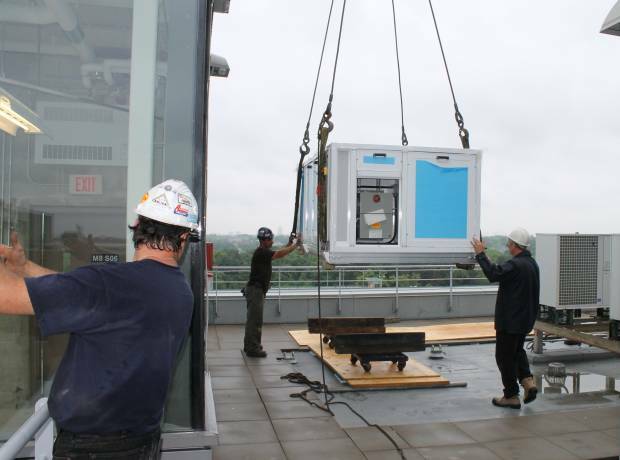 The unit was constructed to go up through the elevator, so that a crane would not be required. Split system to control Temperature & Humidity in a Basement Room, with an indoor condensing unit located in a adjacent Sprinkler Room. 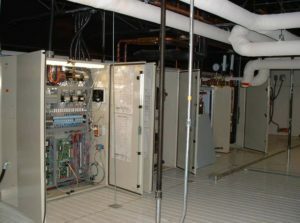 Temperature Humidity control required for a room on the 5th floor of the McLennan Labs Building. 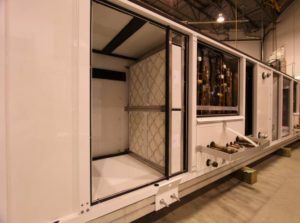 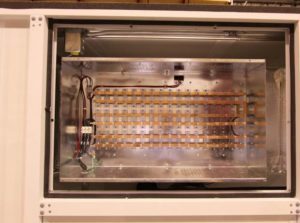 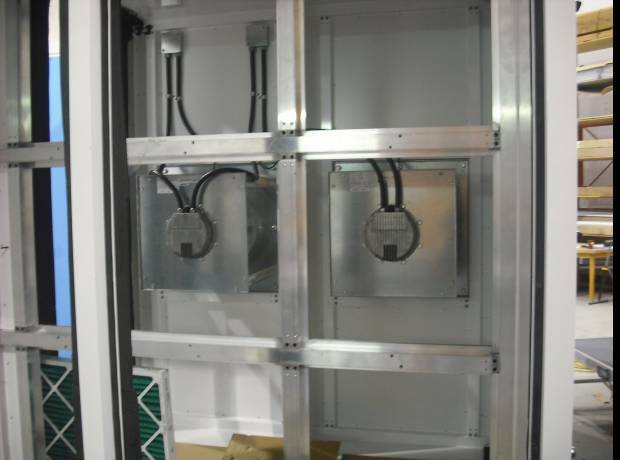 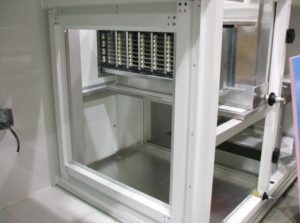 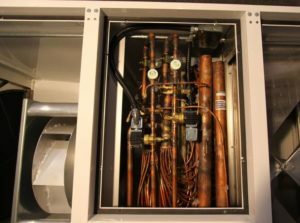 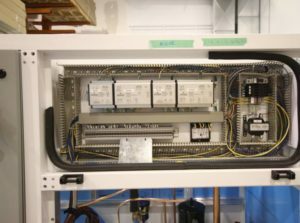 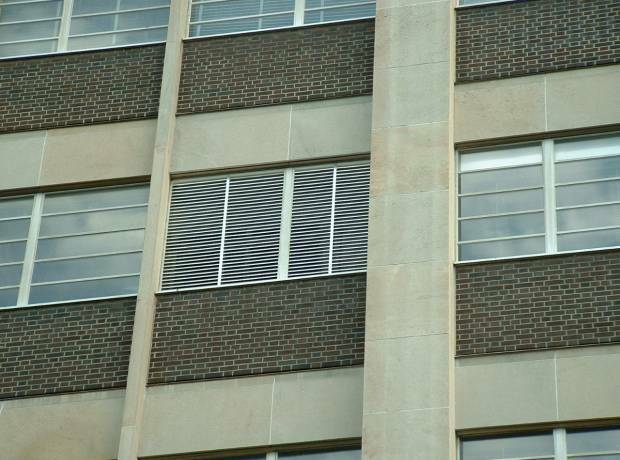 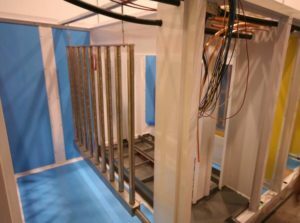 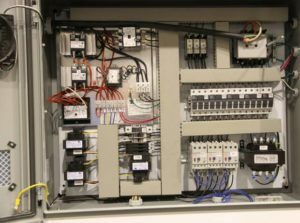 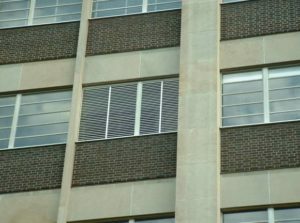 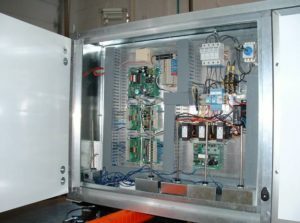 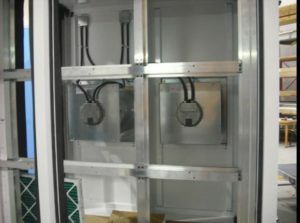 The unit was manufactured to fit in a window opening and provide the temperature and humidity control for a 30kW process heat load in the room, and a control sequence to control the room at a 16oC to 21oC +/- .5oC on a ramping basis.